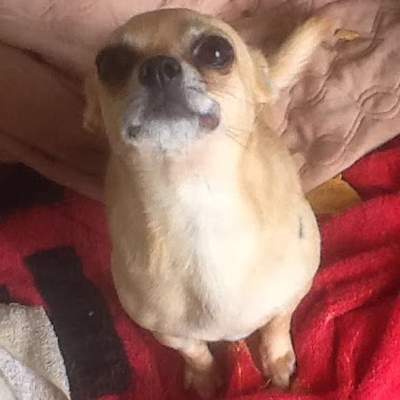 Welcome to Chihuahua Rescue Victoria! 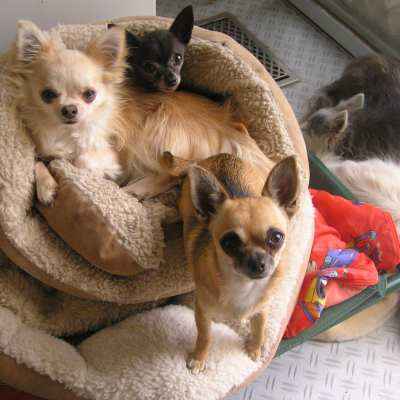 We are a non-profit rescue group dedicated to helping rescued Chihuahuas find loving forever homes. 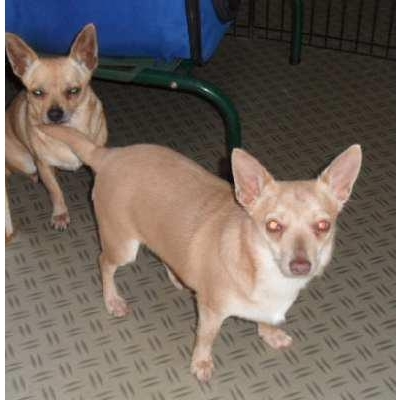 On this site, you will find: stories and photos of rescued Chihuahuas; information about Chihuahuas; newsletters from Chihuahua Rescue Victoria; and plenty of information on Chihuahuas we currently have for adoption. Our Chi Anthem, prepared by Felix is brilliant! 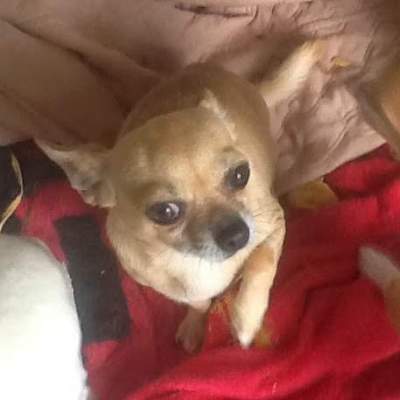 Sunday, 10th of February 2019 We have added a new page: the Chihuahua Rescue Victoria Marketplace. 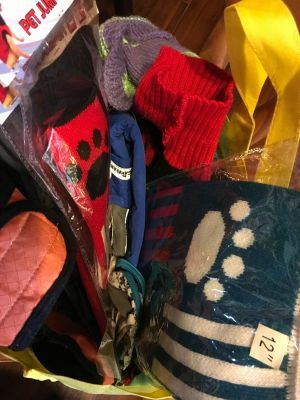 Occasionally we have items donated to us that we cannot use directly; instead we put them up for sale in the marketplace. 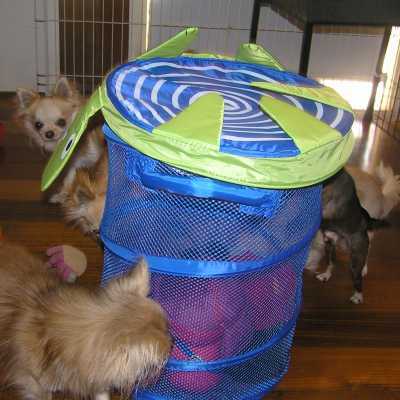 Funds from these items go directly towards the cost of rescuing and looking after the Chihuahuas. 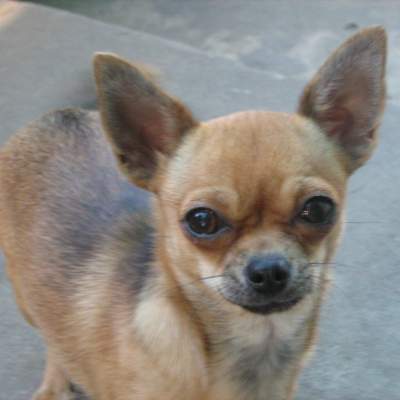 Friday, 4th of January 2019 we have created a Recipes for Chihuahua page that we use to feed our own Chihuahuas: a Chihuahua Stew, a Grain Free Chihuahua Stew for dogs allergic to grain, and a Bone Broth supplement. See the "What's New Archive". 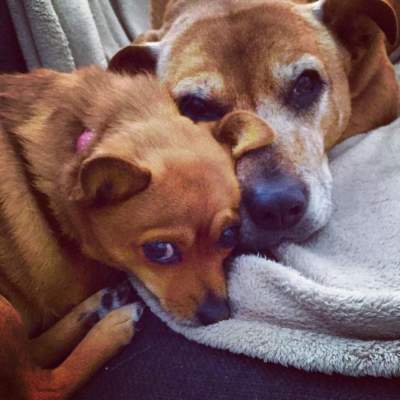 Below is our gallery of happily rehomed dogs! 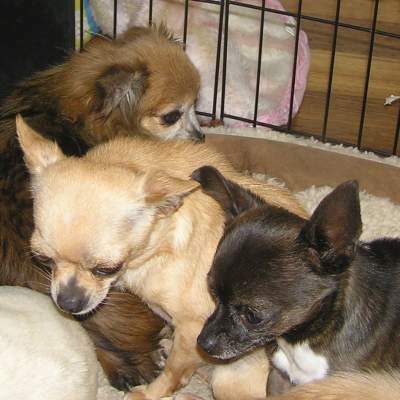 See our blog for Chihuahuas currently needing a home. Also check out our Facebook Page! Front gallery picture of Tinka. You know who!! (Mayer) with Tinka. No way we can claim she hates staying with us when Mummy and Daddy go away?? 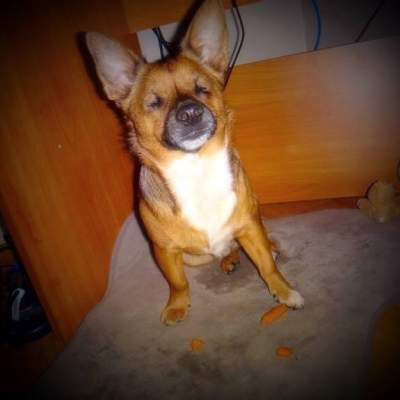 We recieved this great update from the family who have newly homed Spuddy, now known as Zoro. Hi Rita, well a week has gone by and the little man is settling in really well. We still have a little jealousy issue with our girl but it's much better as time goes by. From what I can see they are sleeping in separate beds in the TV room but after leaving them in our room for 4 days they are now going it alone! He is the most darling little dog. He is so playful and loves to play and the two chase each other till they are exhausted!! Wish Zoro all the best on this Facebook post. 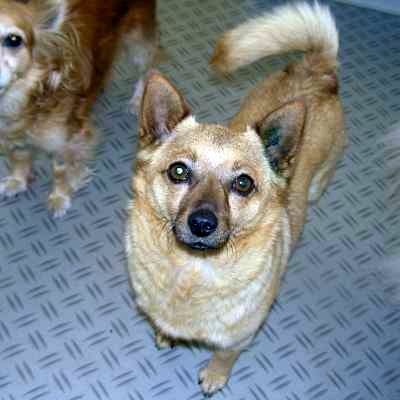 See the blog post where we first announced Zoro (then Spuddy) was up for adoption. Here is a wonderful new update on Sasha, now Grace. Hi Rita, here are some photos of Grace. Grace has made herself the boss of the house! And look how that coat is growing back so beautifully. Thank you so much for protecting her from the sun! Say hi to Grace and wish her the best on this Facebook post. 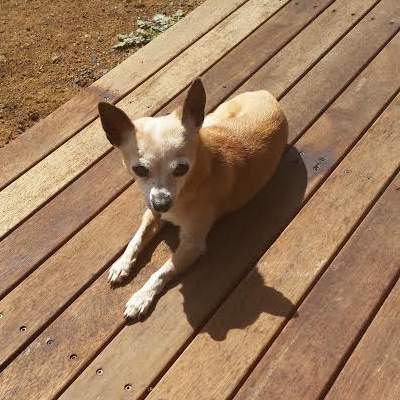 See previous updates on this gorgeous doggie on Facebook from Saturday, 29th of September 2018, Saturday, 17th of November 2018 and Sunday, 2nd of December 2018. See the blog post where we first announced Grace was up for adoption.
. A fabulous name and the best girl ever! She is truly the best although still a bit timid, and is still wary of men! Not big on going for walks, but she's just so lovable and loving - best of all, she doesn't bark! See Miss Fifi La Bootstrap on this Facebook post. 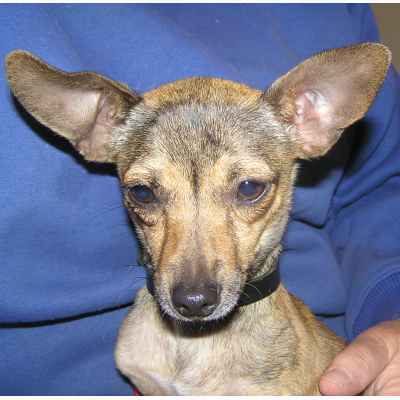 See the blog post where we first announced Miss Fifi La Bootstrap was up for adoption. 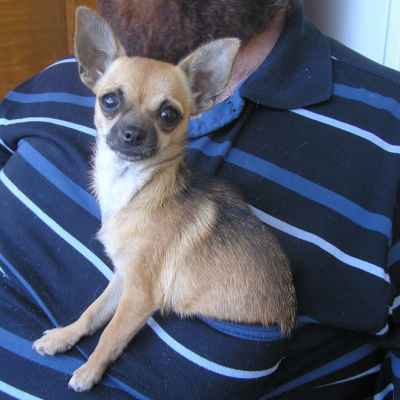 Nikita has just been very happy sitting on his new Daddy's lap. Sorry Nikita you are on a very strict diet as from the minute you get home - no other dogs getting fed and he can pinch the food! Wish Nikita the best on the Facebook post where we see him off! See the blog post where we first announced Nikita was up for adoption. Wish Choco the best on the Facebook post where we see him off! 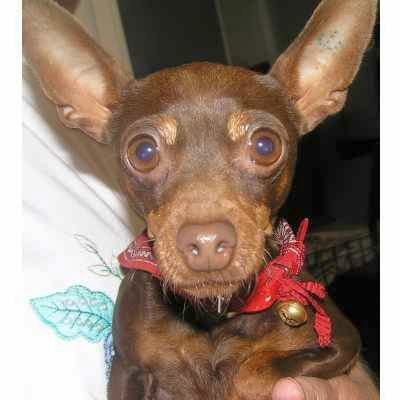 See the blog post where we first announced Choco was up for adoption. A big thank you goes to Henry's loving forever home of three years now. It's already been 3 years with Henry. He's made some doggie friends and is no longer defensive towards other dogs. He's been up and down between our Melbourne home and beach house. Thank you and have a wonderful year. See a couple of other pictures of Henry on this wonderful Facebook post! See the blog post where we first announced Henry was up for adoption back in 2015. He was really showing his wire haired terrier roots back then. Here is a recent picture of this cheeky darling called Heidi. Back in 2016 when we first put Heidi up for adoption, we described her as the following. a tiny little (overweight!!) 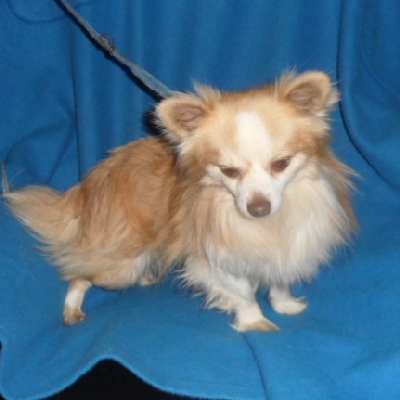 long coat pure Chihuahua with the cheekiest and most loving personality anyone could wish for. Her loving mother sent us this update with along with a photo of Heidi and her best mate Christian, who is substantially older. Give Heidi some love in the Facebook update post created just for her. 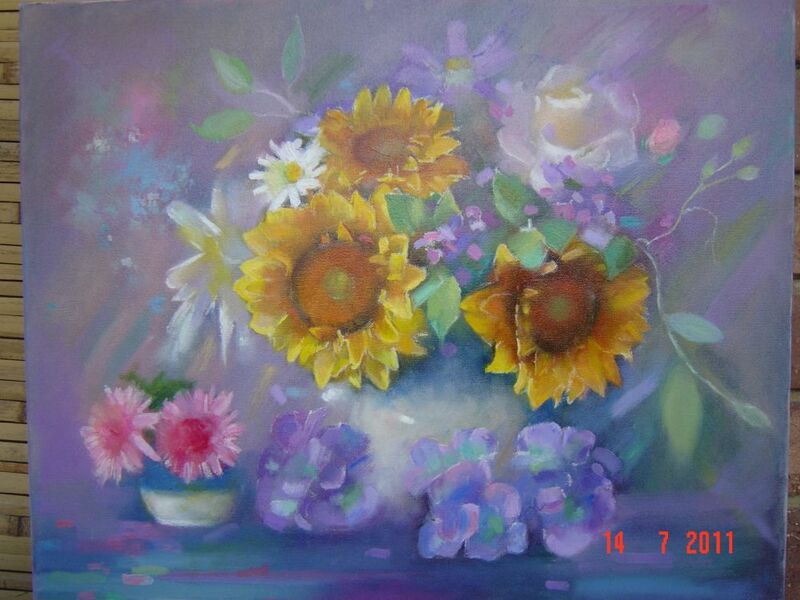 A Bright Bunch of Flowers (painting). 61 cm x 46 cm oil painting. 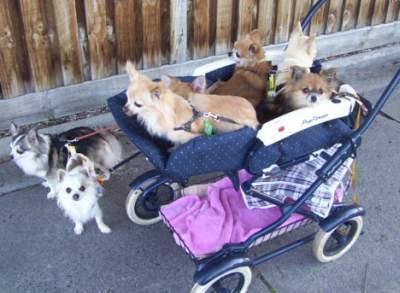 All proceeds to Chihuahua Rescue Victoria. This is a an oil painting by Froney Ward, our favourite local artist, and it is being auctioned off in support of Chihuahua Rescue Victoria. For more details, see our Newsletter for January 2018. Oil on gallery wrap canvas so need for framing. All artist quality materials. See "A Bright Bunch of Flowers (painting)" on Froney's Etsy page. Angel in 2017 - happily bosses us all around, including the other little dogs! We featured this pic of her in our Newsletter for December 2017! 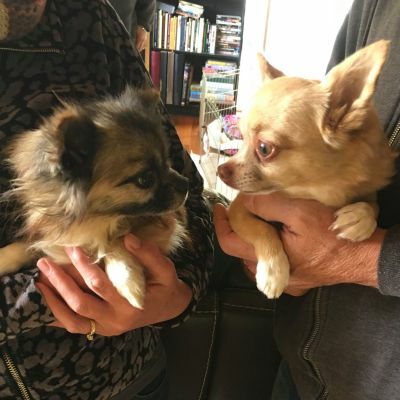 Bushka (left) warily greets his new brother Maxy (right). Wish the best for this little doggie on the Facebook post for this update. We put Bushka up for adoption just yesterday! Freddie is exhausted. He has just complete a photo shoot for the Herald Sun! Not sure he will make the paper but you never know! From a Facebook update we posted after a a Herald Sun photographer came around. 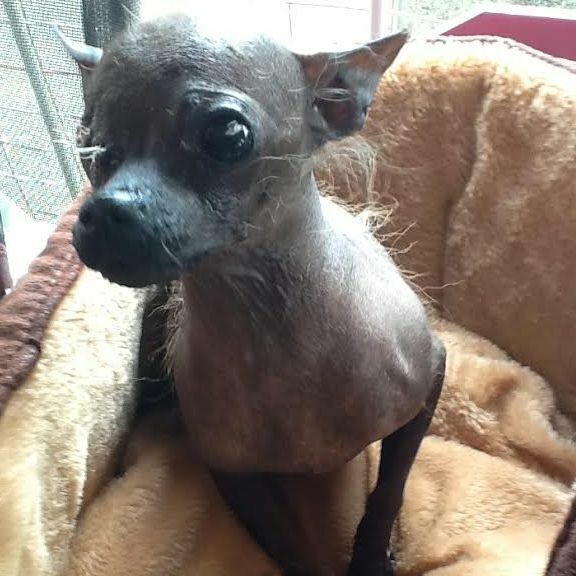 Also check out Freddie's recent Chihuahua Rescue Victoria Success Story! Wow, a couple of days later and Freddie really did appear in the Herald Sun. It's a gorgeous photo! What an amazing photo of little Robin running under the blossom trees in the park. 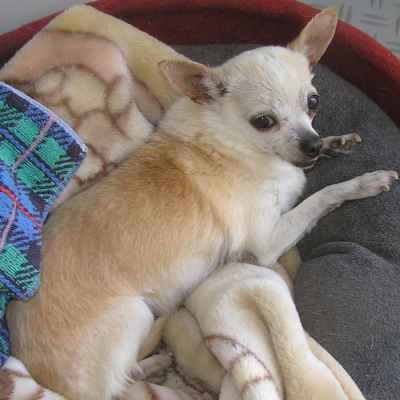 Robin is an older Albino Chihuahua Cross who craves a soft bed and good food! 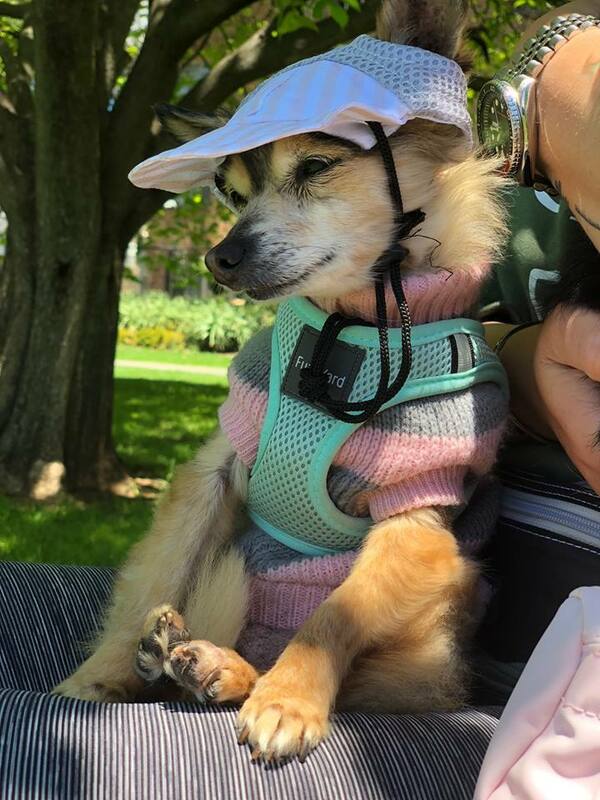 With his forever loving family he now enjoys walks and the dulcet tones of a Ukulele in the park. 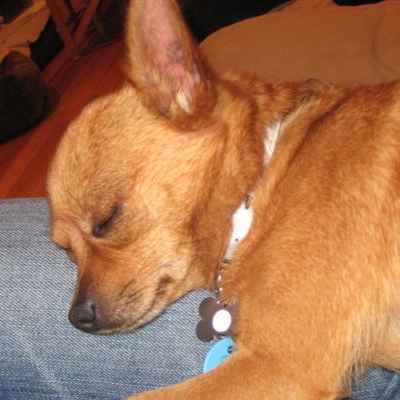 Read more about him in Robin's Chihuahua Rescue Victoria Success Story! This Angel is no pirate. 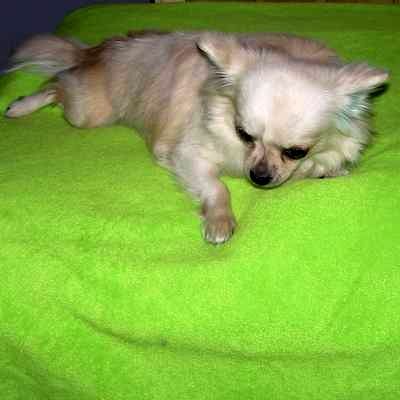 Here is Angel on her little holiday with Sue and Jess, looking just a wee bit spoilt! See a couple more photos of Angel in the Facebook post. Also, check out this recent video of when took her coat off to see if she would enjoy sunshine! 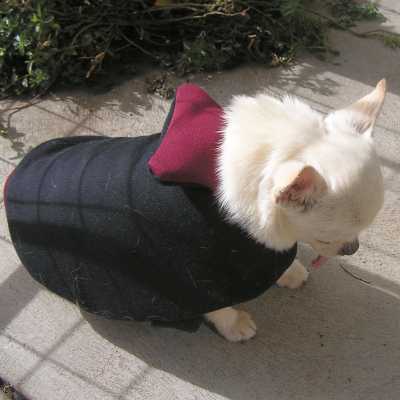 We took off Angel's coat and put her outside thinking she just might like some warm sunshine. Huh, not likely: she was in such a hurry to get back inside and in to bed! From this Facebook post with Angel. We welcome our darling little Freddie in to our home. Freddie is seven weeks old. He is eating and drinking. This morning we gave him a little toy and he has been playing with it. 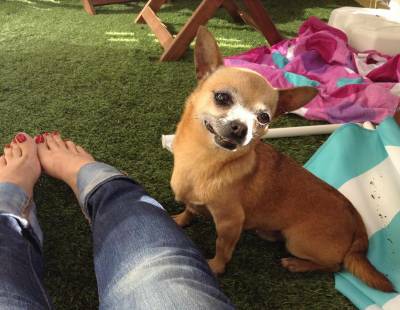 Freddie has some brain damage (no one knows why or how) but he is such a happy little Vegemite that we intend that he should have a chance. Say hello to Freddie on the Facebook post for this pic! 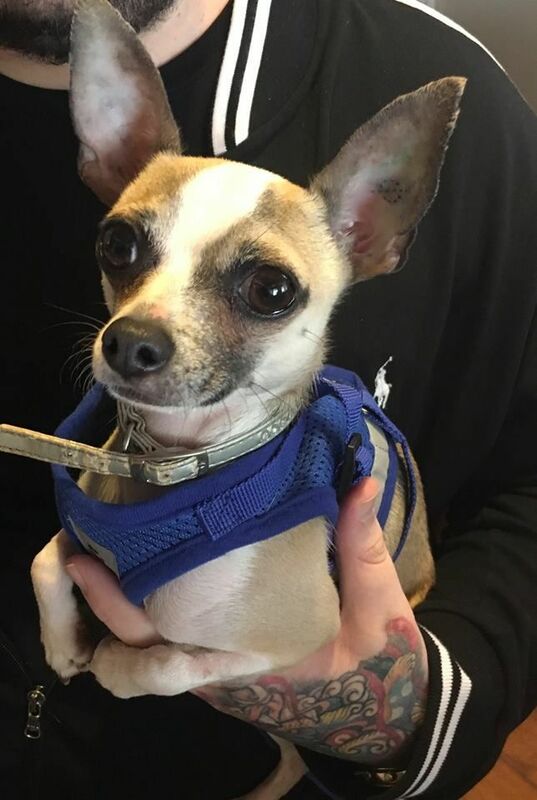 Even better, read more about Freddie in our newsletter for September 2017 or his very own Chihuahua Rescue Victoria Success Story! 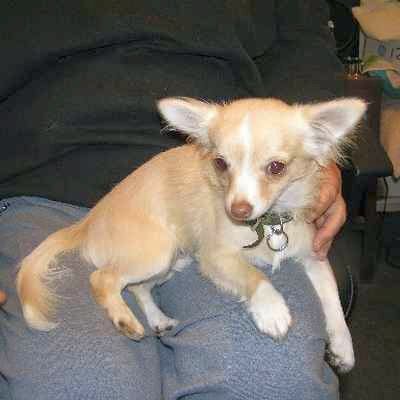 Gerrie is pregnant at Chihuahua Rescue Victoria headquarters, and is likely to give birth in the next couple of days. Not sure how much bigger pregnant Gerrie can get! Oh dear. Just after this photo I put down some kibble in her food bowl. Wish I had the video going! She tried to get up and was rocking around on her back, legs in the air. She looked like a beetle who can't roll over on to her feet! Yes, I stopped laughing and helped her up! Wish Gerri the best on the Facebook post for this photo! 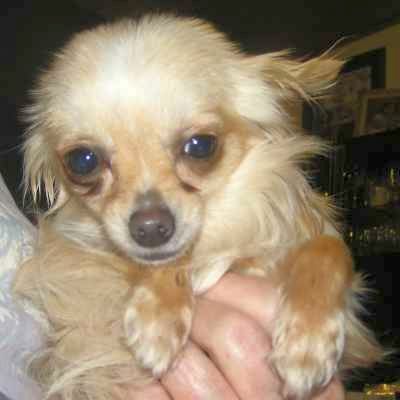 We announced Susie was up for adoption on our Chihuahua Rescue Victoria Dog Roll and on Facebook. 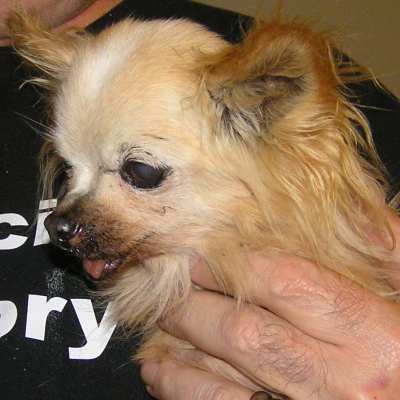 Susie is now ready for a loving home for her final years. 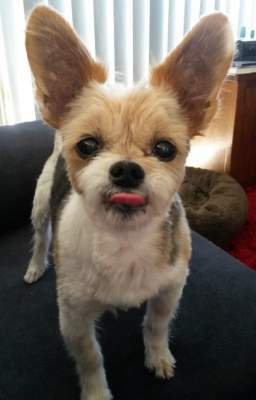 She is microchipped and her records say she is ten years old, but she could be older as she was a puppy farm girl and has always been having puppies! 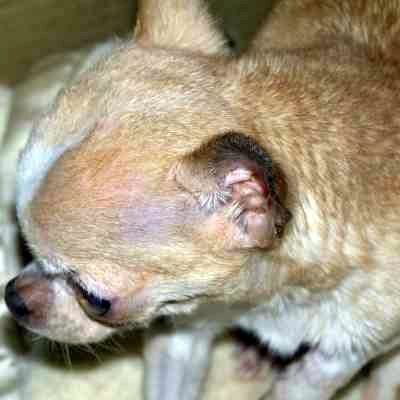 She had mammary milk tumours removed when she was desexed last week, and all her teeth were taken out. Has a fantastically strong heart! 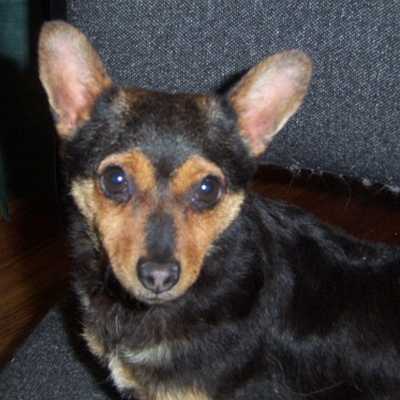 She is fine with the other dogs and is a darling little dog considering her past! 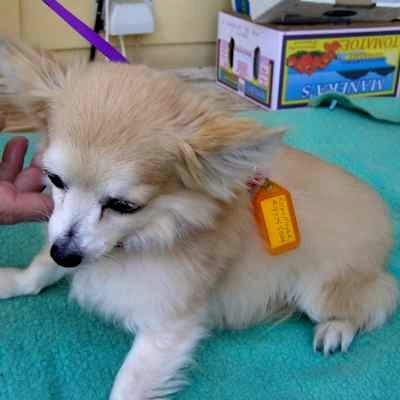 She has been fully immunised and her microchip number is 982000361707966. 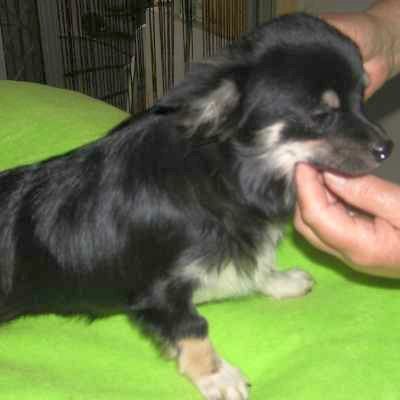 Her price is $200 which we are asking to help cover just a very small amount of the huge vet fees. 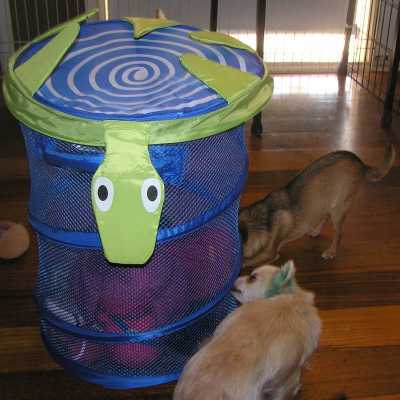 We got a beaut donation from Wodonga Dog Rescue. If you like, say a few words of thanks along with us on the Facebook post we created for this donation. 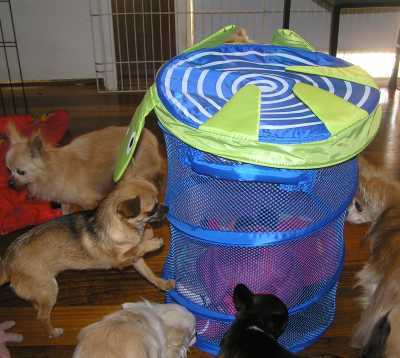 Thank you to Wodonga Dog Rescue, for this wonderful huge parcel of doggy coats for our babies over winter! 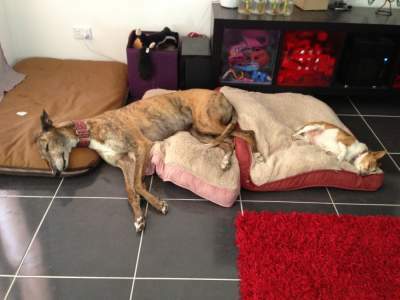 It is just so lovely when Rescues can work together to help each other out! 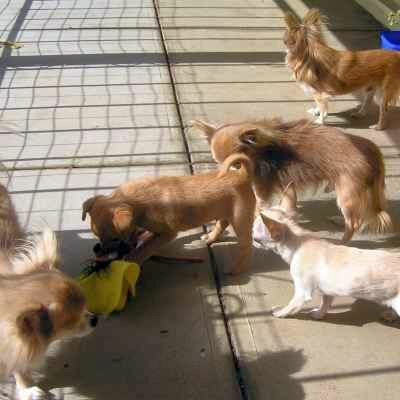 You can check them out on their Wodonga Dog Rescue web site or Facebook group. 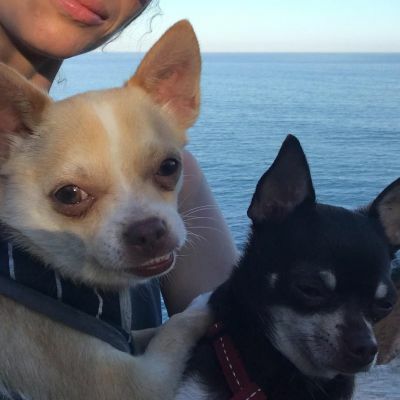 Arnold (left) and Nacho (right) are good friends hugging by the seaside! Arnold was named Big Fella because he was the first in the litter! Now he is named Arnold and has gone to a loving seaside forever home. 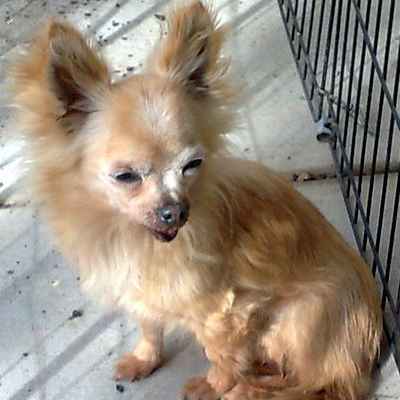 Read about it in Arnold's Chihuahua Rescue Victoria Success Story! First two in harness ready and waiting for the others before heading off for our "walk"!! Jagger and Angel. Say "Hi!" 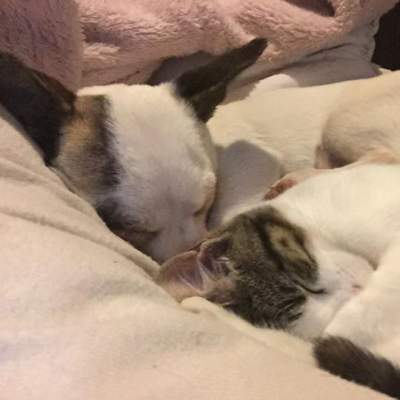 to these two doggies if you like on this Facebook post. 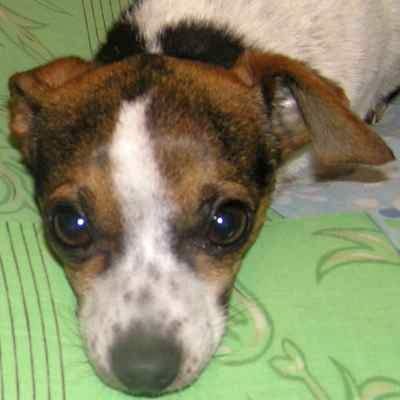 Dale, the most wonderful, obedient little dog. 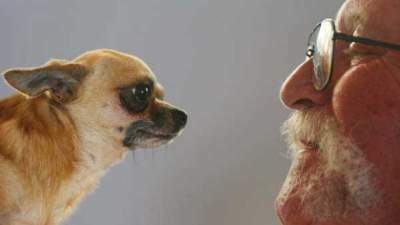 In fact a dream dog to live with! Has just been adopted and left our care to try out his new home. Good luck little darling, we will miss you. This is what we wrote about Dale when we put him up for adoption. 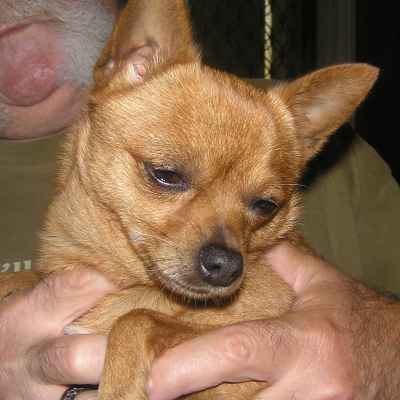 Dale is the most gentle little man of almost five years, DOB 22/5/12. He is quiet and toilet trained. He is fine with people but not suited for children under 10 years. Is Ok with the other little dogs here. 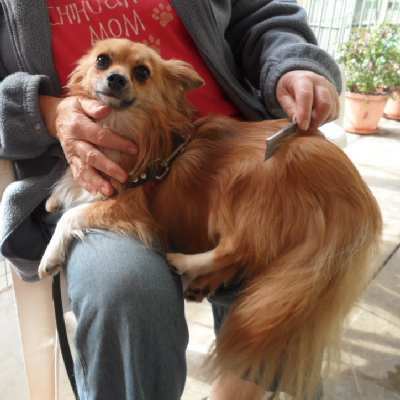 He is a Cavalier King Charles Spaniel crossed with a Chihuahua - according to his microchip. 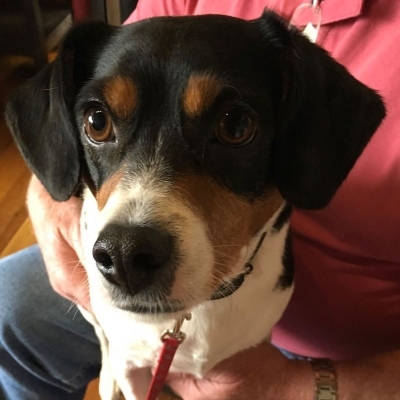 However our vet thinks he looks more like a Beagle cross Jack Russel Terrier - and we agree! 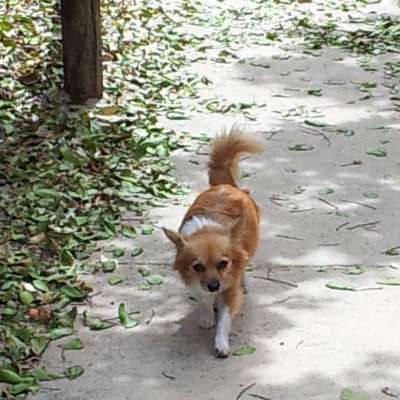 This little man loves his daily walks and needs an active person happy to do 2 to 5 KMs per day! Wish Dale luck on his journey with a new forever home on the Facebook post for this update. Billie Girl is oh so photogenic on the red carpet - what a star! 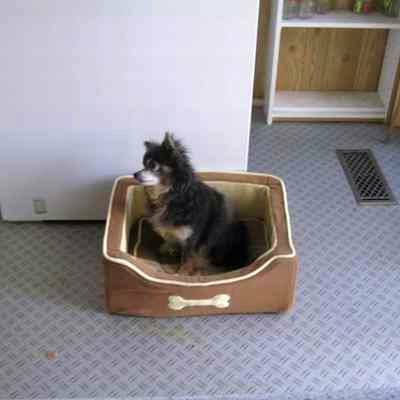 This is in memory of Billie Girl. 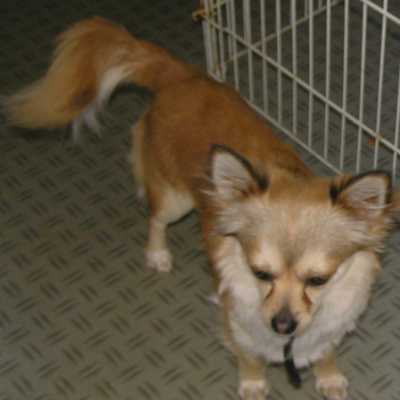 Little Miss Independent, Billie Girl was very affectionate, loving.. and don't forget cheeky! She was a real character and everyone who met her loved her. 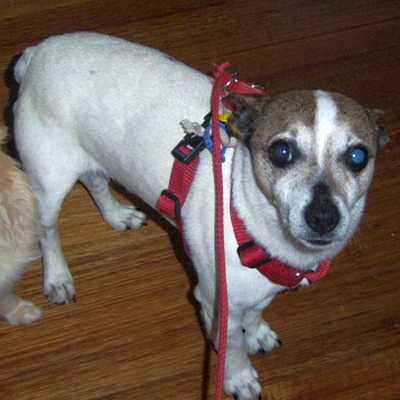 Read more about Billie Girl here. Awwww I do love my ear scratches. 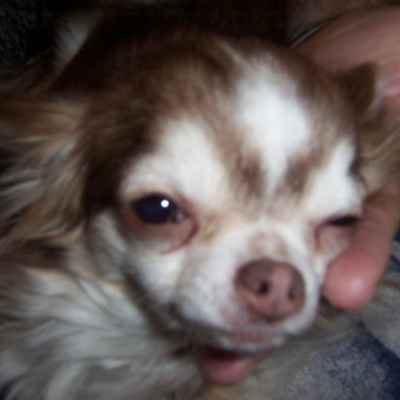 This is in memory of Nelson, a one eyed Chihuahua Rescue Victoria dog adopted out in 2006. 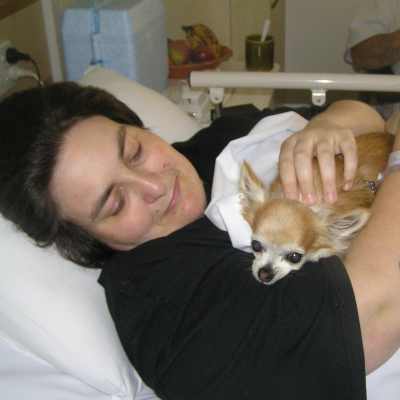 The passion of his human is displayed in the other dogs she loved and the memories she holds for a most energetic dog. 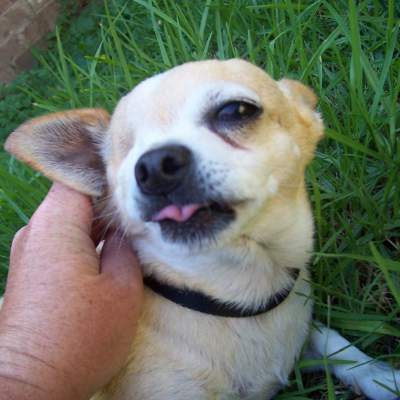 Read more about Nelson, who loved ear scratches and had a lot of girlfriends. What is this obsession you have with tormenting me? I'm totally fine with my one eye disability. If you're gonna subject me to a fake eye, could you at least have got a lifelike one and not from the $2 shop again! Gabbi, Reuben, and Gizmo all resting comfortably. Grandpa Mayer pretends that he hates it! 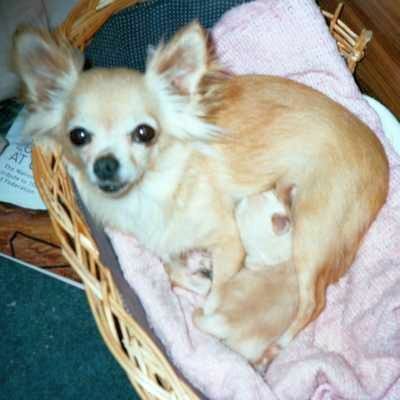 This is from the success story of Gizmo, one of the longest lived Chihuahua Rescue Victoria home dogs, and a personal favourite of Mother Chihuahua - not that there are any favourites! He was one of the first rescues, and was a stalwart friend to so many other rescues that we hope Gizmo is remembered far and wide. 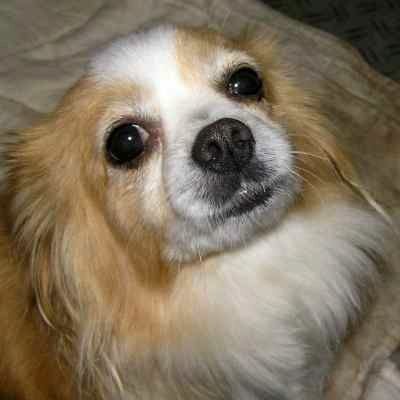 Read more on Gizmo's Success Story and Memoriam. 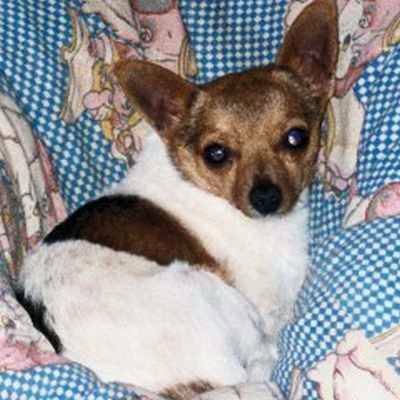 In memory of Portia, a Chihuahua Rescue Victoria dog who found her loving forever home in 2005 and passed away on Tuesday, 17th of January 2017. 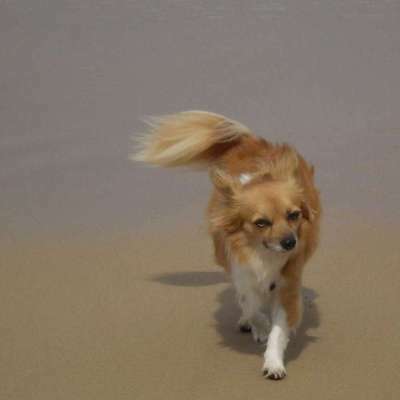 "She loved the beach... she loved getting wet and then racing around on the sand like a rocket." Read the beautiful memoriam prepared by her adoptive Mum. If you would like to say a few words to Portia's family, you can do so on this Facebook post for Portia. 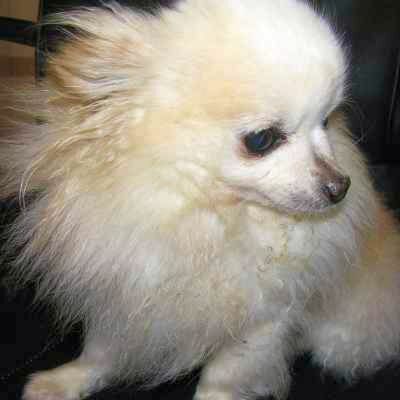 Billy, the most gentle little man has just left to go live with his new Mummy. Quite a few tears shed here this afternoon! We love him much more than most of our little "rescues". His Mummy has promised lots of photos! Say hi to Billy in this Facebook update! Update on Billie after 18 months: still a very cheeky girl! Say hi to Billie in this Facebook update! 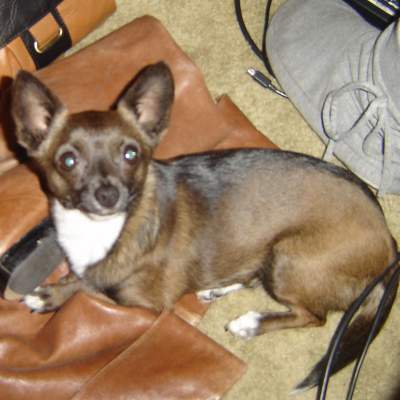 Sasha is a gorgeous little "deer" or "Bambi" Chihuahua of six years. She was timid but very gentle. We are so happy to get this update from her new forever home. 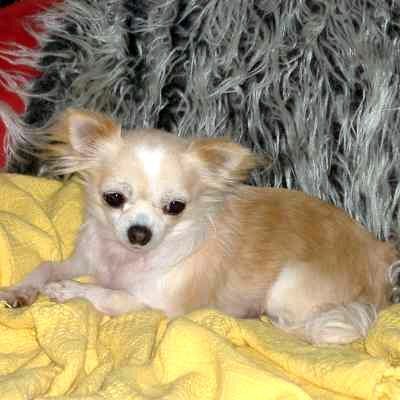 Read more about it in Sasha's Chihuahua Rescue Victoria Success Story! 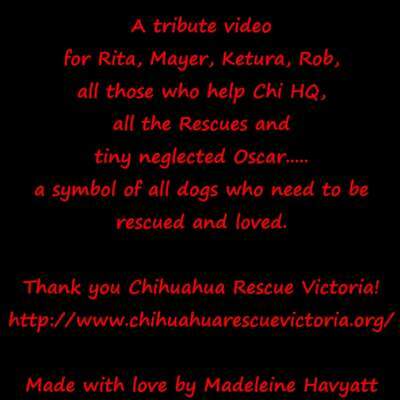 Chihuahua Rescue Victoria Anthem by Madeleine Havyatt. Final cut of the Chi Anthem, prepared by Felix or Madeleine Havyatt, depending on who you believe. Either way, this is brilliant - thank you very much! 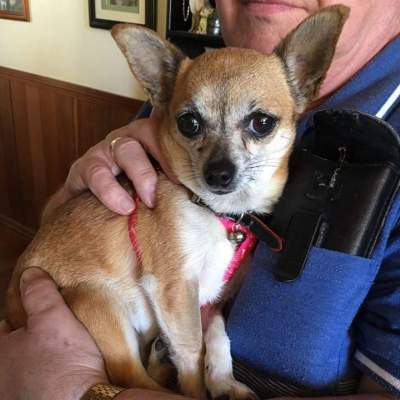 Nina the gorgeous one, has chosen her new Mum and Dad! 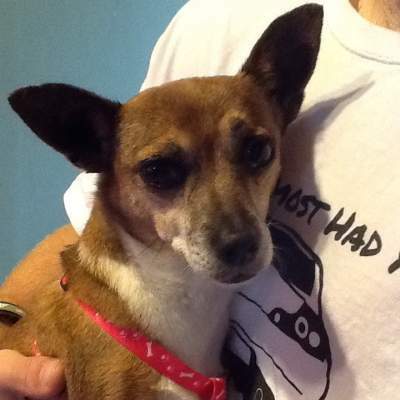 Wish Nina luck on her Facebook post, or view the blog entry we made when we originally put her up for adoption. Not quite a Chihuahua, but still part of the CRV Alumni! Poody Poodle has just chosen his new Mummy! Will really miss this little tiger. 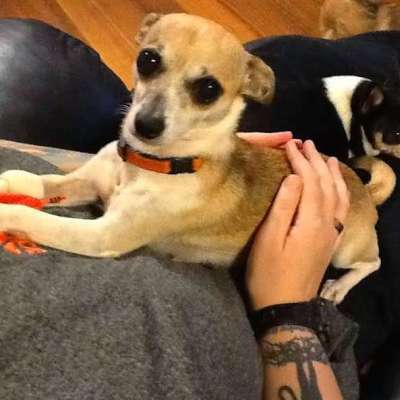 Wish Poody luck on his Facebook post, or view the blog entry we made when we originally put him up for adoption. Carrie, the gorgeous little girl is now called Frankie! We received the below message from her earlier this week. Read more on Frankie's very own Success Story for Saturday, 26th of September 2015! Frankie says: "no TV now - just me!" 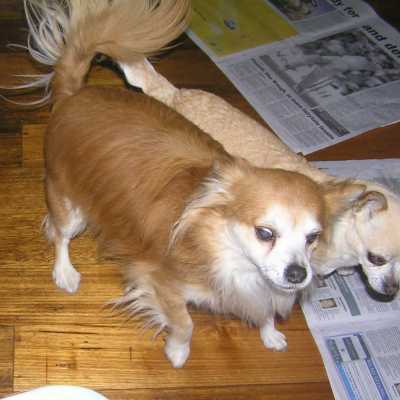 Frankie on the left and Boo (another rescue, but, uh, not a Chihuahua) on the right. 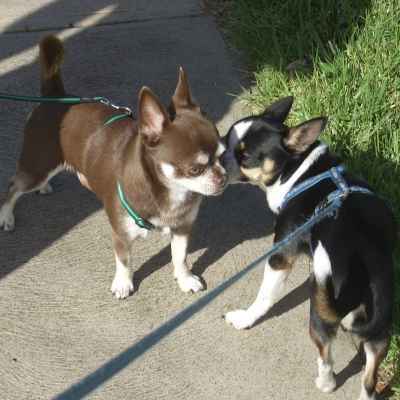 Pablo is not a CRV doggie, but he is best mates with Gigi, so he is on the CRV team. 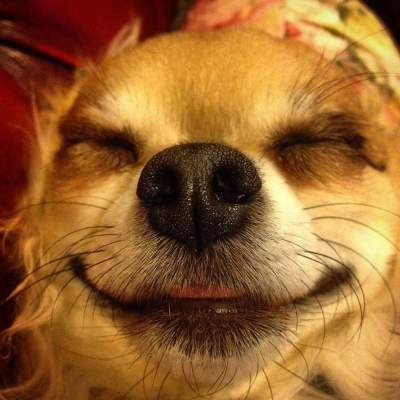 His Mum says: this photo of Pablo cracks me up. So happy despite all his medical issues. We love you Pablo, you are a very special little man. I hope this makes you all smile. 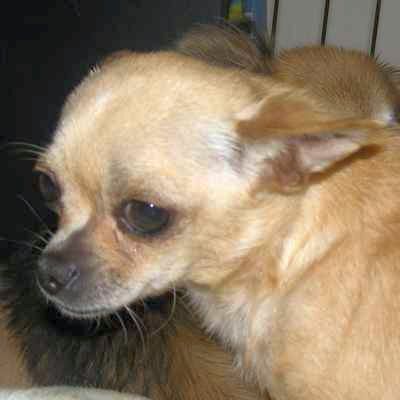 Mischief, the cheeky little girl has chosen her new family and left us to try out her new home. Good luck cheeky! 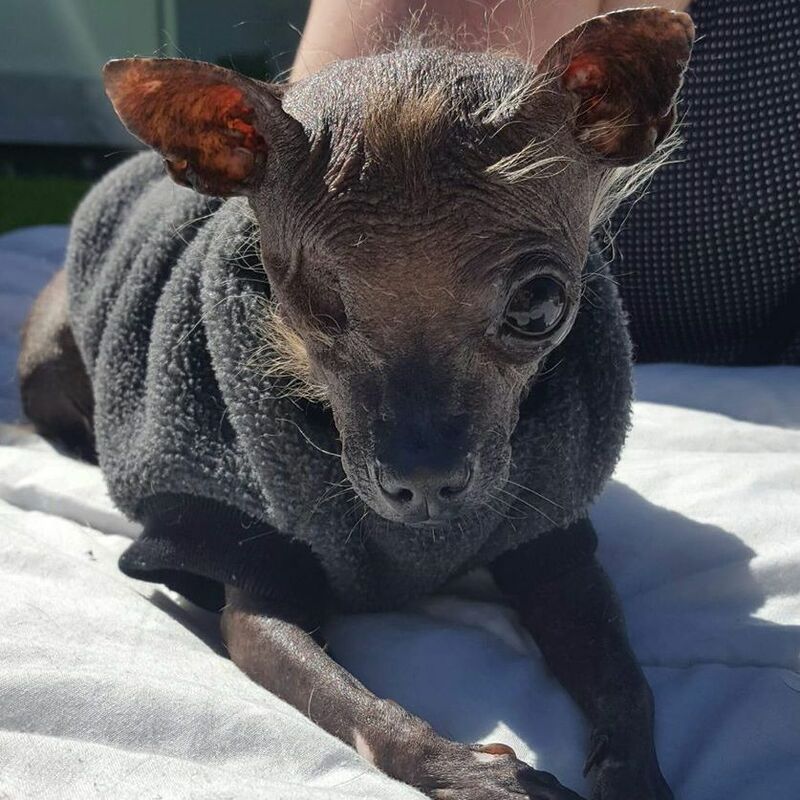 Wish Mischief good luck on her journey on this Facebook post! 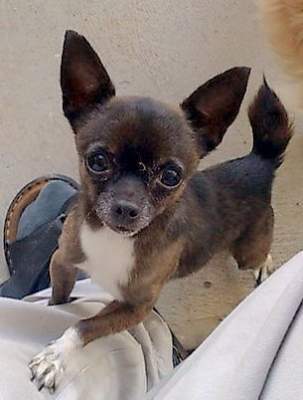 See the post for Mischief when we first put her up for adoption (with some fantastic photos): Mischief's entry on the Chihuahua Rescue Victoria Dog Roll. 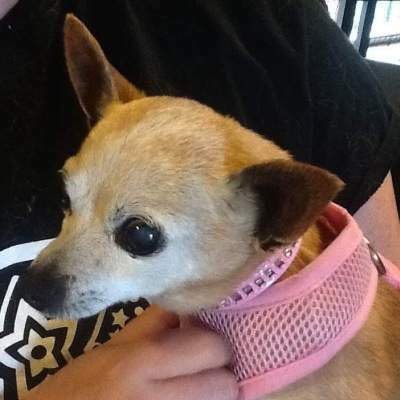 This beautiful little "older" lady found her forever loving home. Says her new Mum: Penny sleeps on my bed, follows me everywhere, eats like a Labrador and demands belly rubs. What a life! 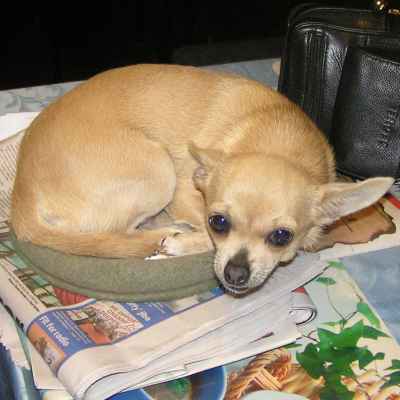 Read about it in Penny's Chihuahua Rescue Victoria Success Story. 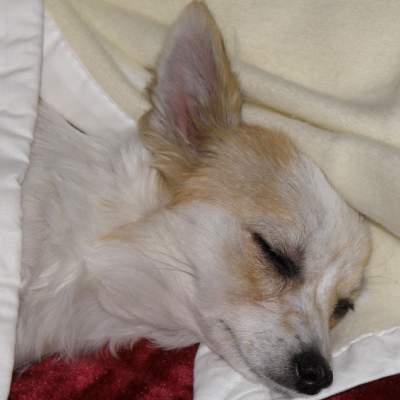 In 2007, we saw a little girl come from the pound as unclaimed. We named her Chee Chee. She was very shy: timid and quite frightened. After a call and a visit from C and E, Chee Chee found a new forever home, and we were honoured to receive these updates for Chee Chee in 2007, 2008, 2010 and a new lovely update in 2015. 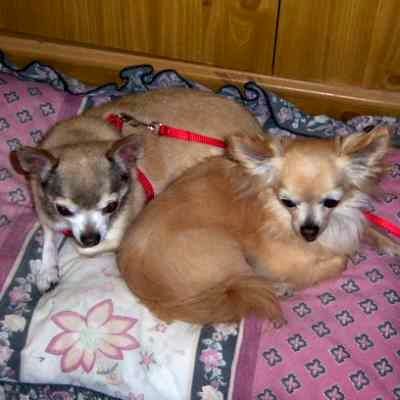 Read about it in Chee Chee's Chihuahua Rescue Victoria Success Story! 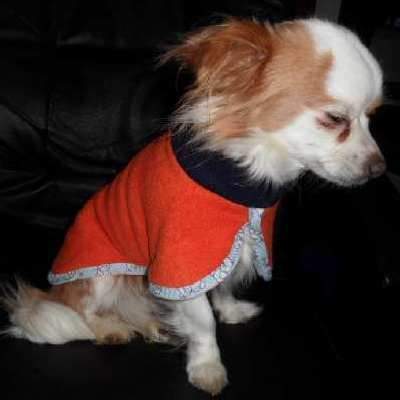 Oscar's Mum: Here is Oscar on the second anniversary of his adoption. He is full of life now, the boss of the house and a real little character. Thanks Rita for saving this grumpy, funny, bossy little fella. We love him! Rita: Oh my goodness, he looks stunning! What a wonderful job you are doing with this darling little man. I remember how skinny and sad he was, so it is greatly heart-warming to hear he is so happy now! Say Hi to Oscar on the Facebook post for this image. 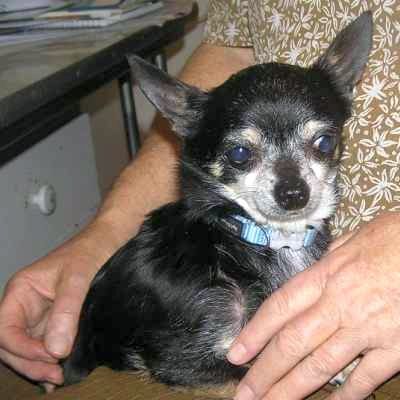 See our original blog post when we put Oscar up for adoption in 2013. Thank you, Linda, for producing this fantastic poster! Also for all the footwork and negotiaton with the stores supporting us. Many many thanks! Check out this poster on Facebook. 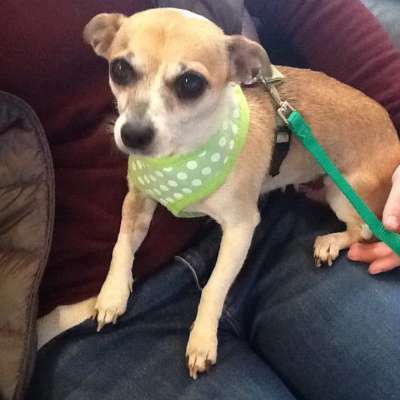 This is Molly, who was Wokky when we put her up for adoption on Sunday, February 8, 2015. 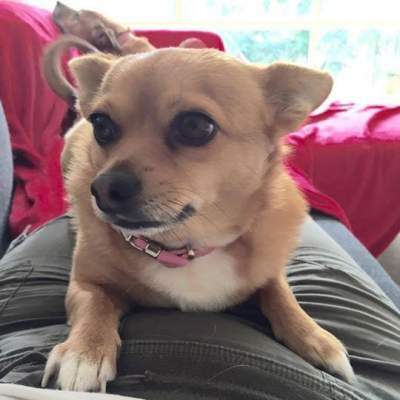 Here is an update Molly's new family gave us earlier on Sunday, 5th of April 2015! Mimi has gone to try out her new home. A lovely family has adopted her and we wish them well. I hope that this sad eyed little girl will get the sparkle back in those eyes. 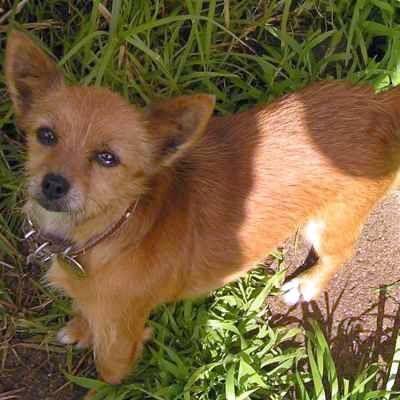 She is a gorgeous well behaved little dog. Wish Mimi good luck on this Facebook post. We first put Mimi up for adoption in March 2015. 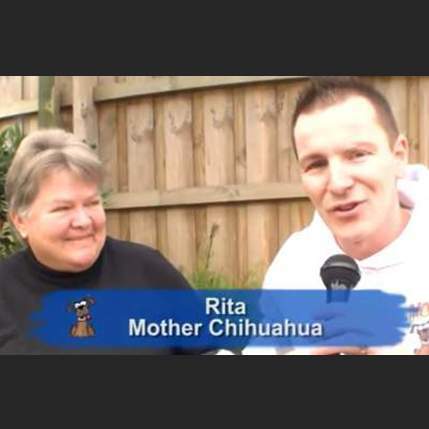 Mother Chihuahua (Rita) appeared on Hound TV in July 2009 - Season 2, Episode 7. 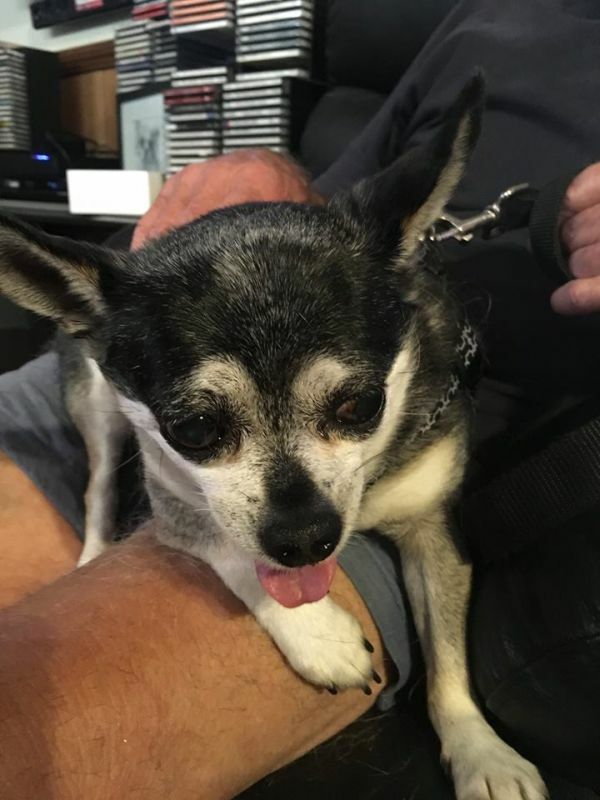 Steven and Rita spoke about her mission to help rescued Chihuahuas find loving forever homes: this included discussing health issues, life span, and what sort of concerns adoptees need to keep in mind when considering whether to take in a rescued Chihuahua. 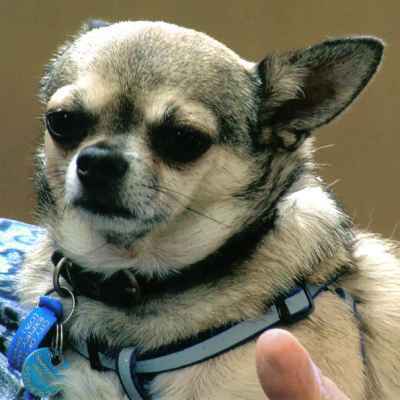 Mother Chihuahua (Rita) appeared on Hound TV in July 2009 - Season 2, Episode 7. 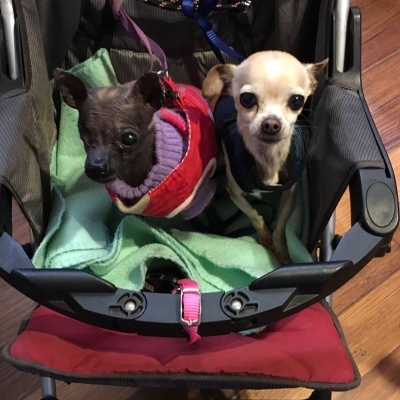 Steven and Rita spoke about her mission to help rescued Chihuahuas find loving forever homes: this included discussing health issues, life span, and what sort of concerns adoptees need to keep in mind when considering whether to take in a rescued Chihuahua. We are very grateful to Steven, who maintains the Hound TV Facebook page. Check out other episodes from Channel 31's Hound TV on their website or on their YouTube page. We orginally wrote about this in the August 2009 newsletter. You can discuss this video on it's very own Facebook post if you like. Polly Pocket met a lovely young lady this morning and decided to give grandma the heave ho!! Here's our newest little fur kid Pixel (formerly Polly Pocket Rocket) hanging out with her sister-from-another-mister Anna. Thanks to her family for giving us this Facebook update. 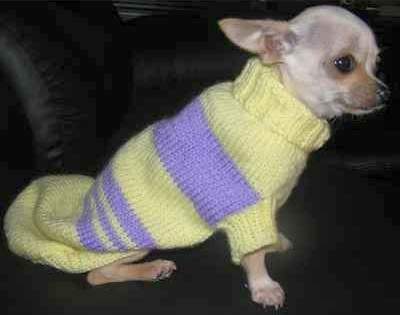 We have seen Pixel as Polly Pocket already here on the gallery, once and twice before. 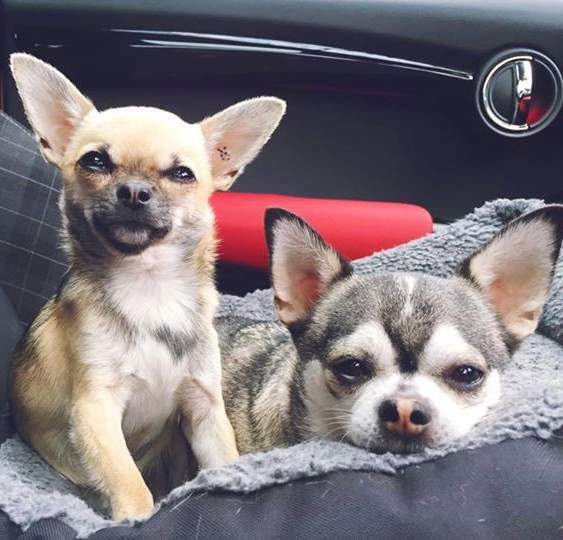 Rio (right) and Taco (left) - they are gorgeous! This note from their Daddy: Hi Rita, just wanted to let you know today is Rio's two year adoption anniversary! Thank you so much for bringing this little man into our lives. I cannot tell you how much he is loved. 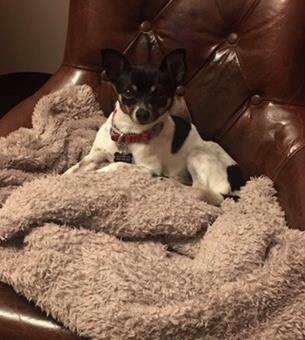 Rio was adopted in 2013! You can comment on this amazing picture on their Facebook post. 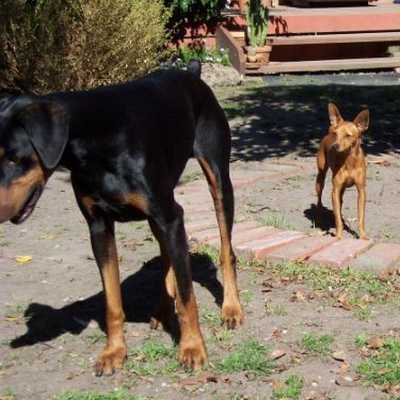 Max the Min Pin (right) went home with Macey the Doberman (left). 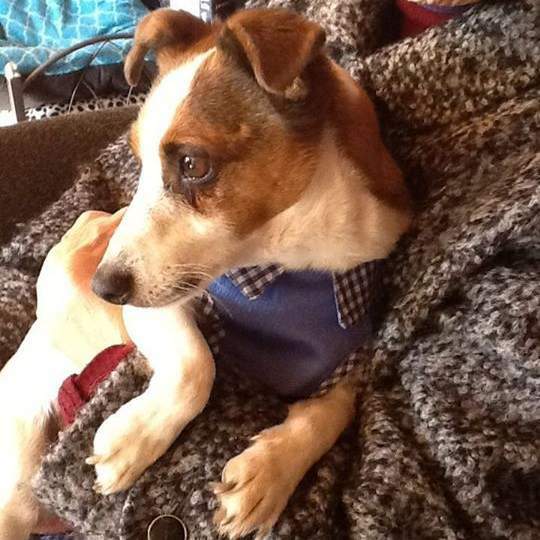 Jack the tiny Jack Russell has chosen his new Mummy and gone off on two weeks trial. One of the best behaved JR terriers I think I have ever met! Wish Jack well on this Facebook entry. 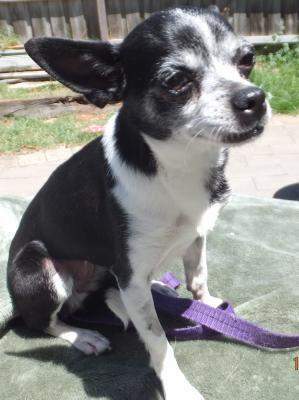 Sweet Pea is a darling little old lady — she is active and not backward in giving you a toothless nip if you try to make her do what she does not want to do! 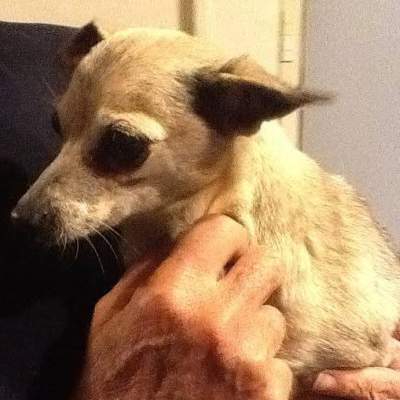 As of Saturday, 20th of June 2015, she is looking for a home. 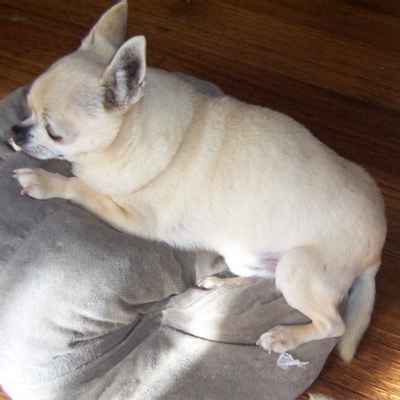 See her on Facebook and our Dog Roll blog. 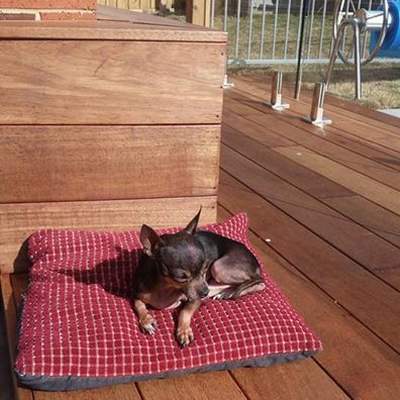 Pearly-Sue enjoying her time on deck - soaking up the sun. 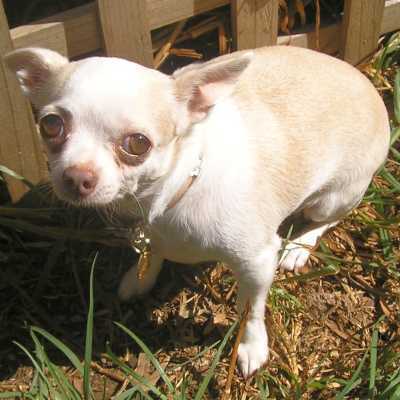 Read more on Pearly-Sue's Chihuahua Rescue Victoria Success Story. Friday, 19th of June 2015. Pearly-Sue was named Susie when we first put her up for adoption. 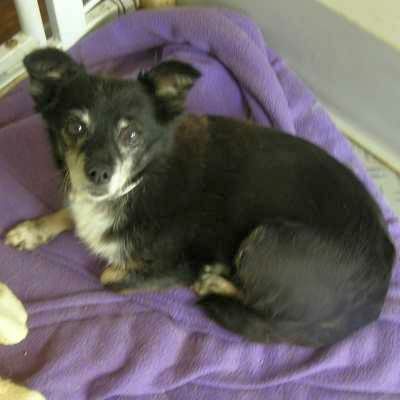 She is a very gentle and loving little girl who likes to curl up in her bed and sleep a fair bit as most older girls do! 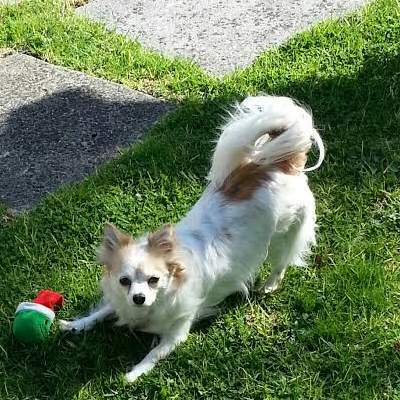 Read more on Pearly-Sue's Chihuahua Rescue Victoria Success Story. 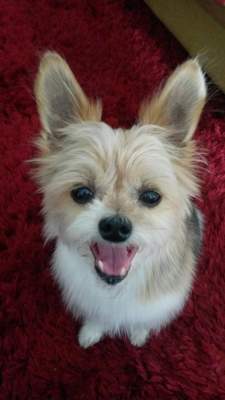 Baxter, the little gentleman, has gone off to try out in his new home. Good luck little man, make your new Mummy happy! Sunday, 14th of June 2015. 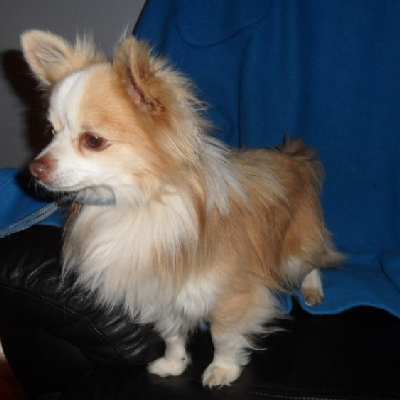 Baxter, the little gentleman, has gone off to try out in his new home. Good luck little man, make your new Mummy happy! See Baxter's original Dog Roll entry. Popping in to say hi to all my dear friends. Mum gave me a raw carrot saying it's good for your eyesight, lol! I am so clever that she forgot - oh mum you're funny! Thursday, 11th of June 2015. Popping in to say hi to all my dear friends. Mum gave me a raw carrot saying it's good for your eyesight, lol! I am so clever that she forgot - oh mum you're funny! Comment on this photo on Roscoe's very own Facebook page. Polly Pocket met a lovely young lady this morning and decided to give grandma the heave ho!! 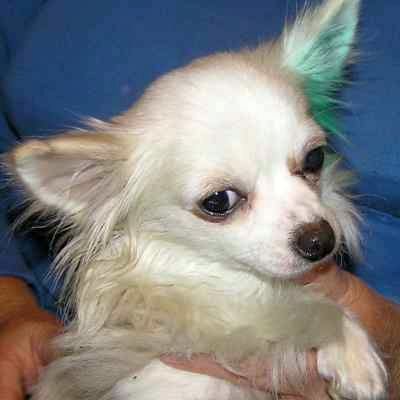 Good luck you little dream dog, we wish you every happiness in your new home. You see this post on our Facebook Page. Polly Pocket got renamed as Pixel by her new family. 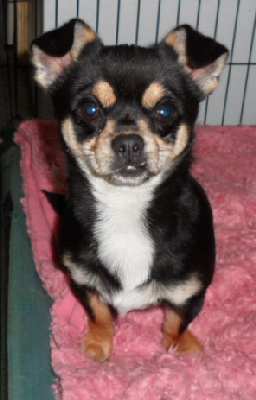 Polly Pocket is a very young small Chihuahua cross, probably about 1 year here. 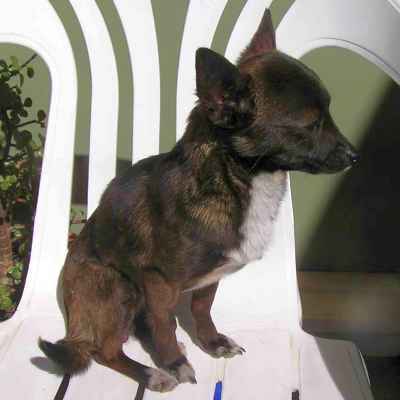 She is the happiest little playful girl, loves people and being with you full time. 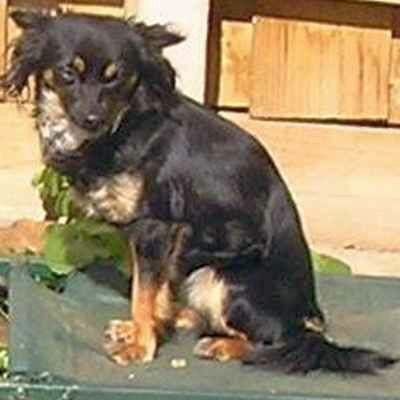 Polly Pocket is a very young small Chihuahua cross, probably about 1 year here. 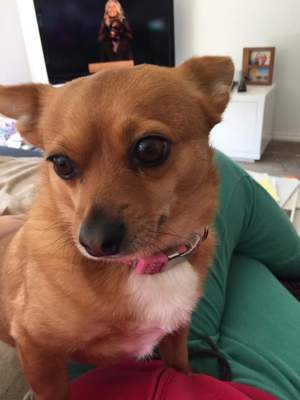 She is the happiest little playful girl, loves people and being with you full time. 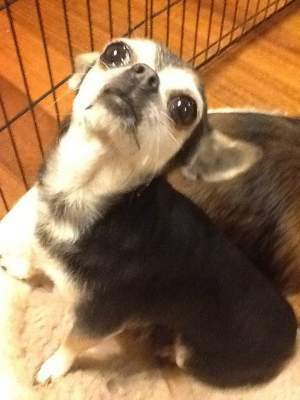 This is her note on the Chihuahua Rescue Victoria Dog Roll. 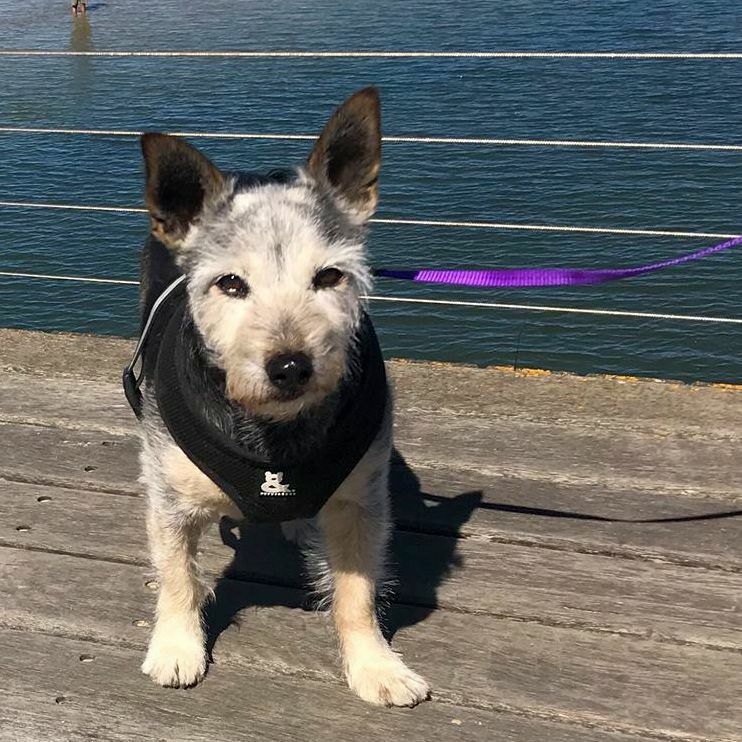 Stella is a gentle loving little girl that was seeking her <em>furever</em> new home after being retired from having puppies! Approximately four years old, she gets on well with the other little dogs! 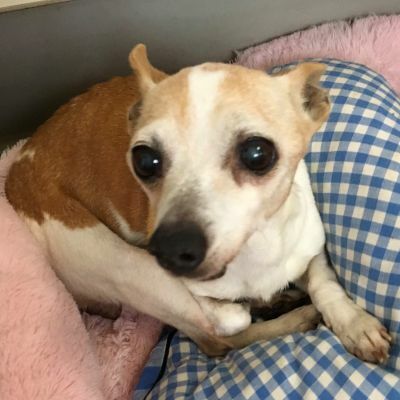 Stella is a gentle loving little girl that was seeking her furever new home after being retired from having puppies! 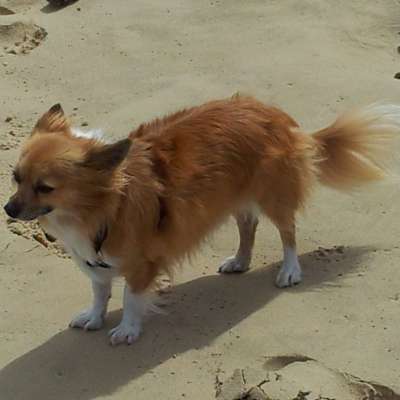 Approximately four years old, she gets on well with the other little dogs! 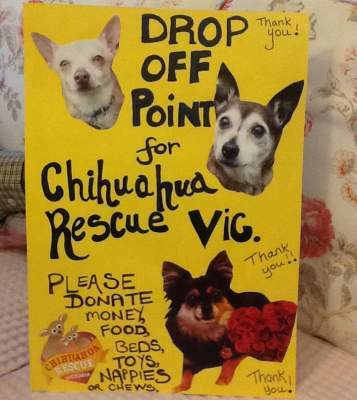 This is her note on the Chihuahua Rescue Victoria Dog Roll. 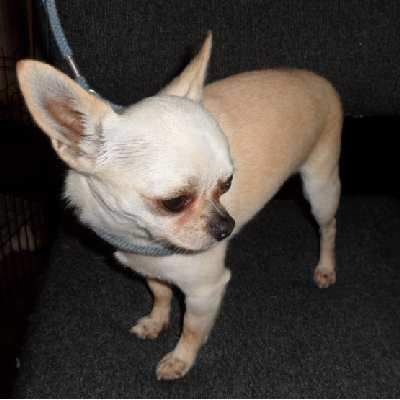 On Tuesday 26 May 2015, the totally loving Stella has just chosen her new Mummy and walked off out the door without a second glance! On Tuesday 26 May 2015, the totally loving Stella has just chosen her new Mummy and walked off out the door without a second glance! See her on this Facebook post. 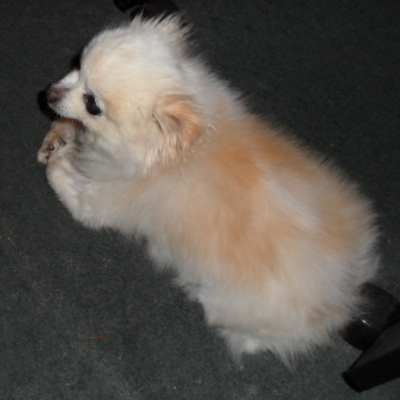 A ten year old Disco in October 2011, showing how he would stand upright on his back legs! 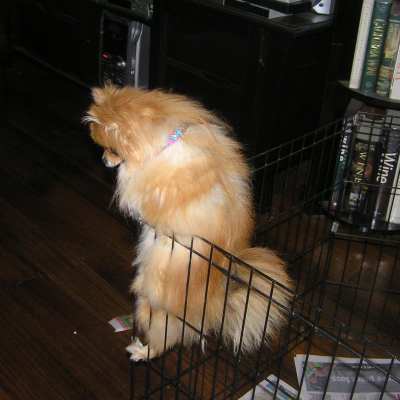 A ten year old Disco in October 2011, showing how he would stand upright on his back legs! 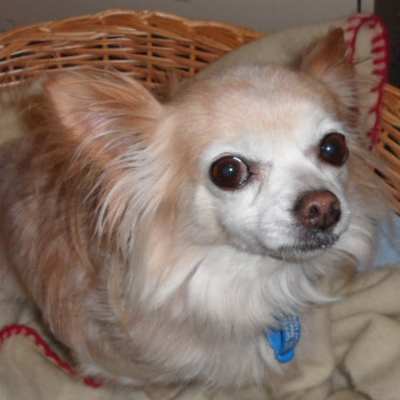 Read about Disco in Disco's Chihuahua Rescue Victoria Success Story! Archie exhibits his love of literature! Archie exhibits his love of literature! 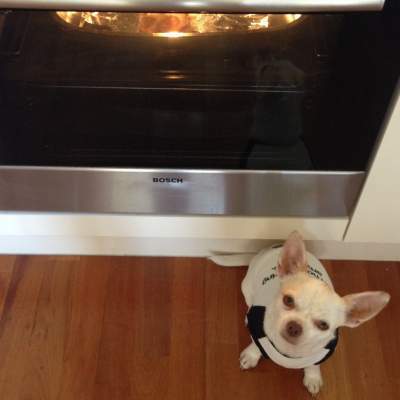 Read about Archie in Archie's Chihuahua Rescue Victoria Success Story! Archie on the couch. 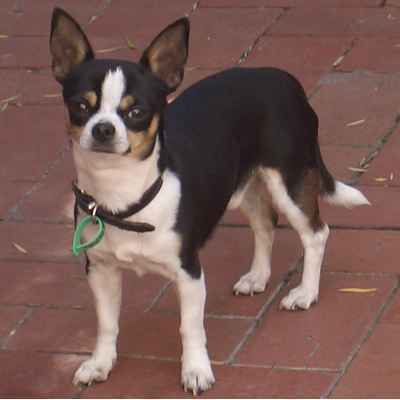 Read about Archie in Archie's Chihuahua Rescue Victoria Success Story! Archie going for a walk. Archie going for a walk. 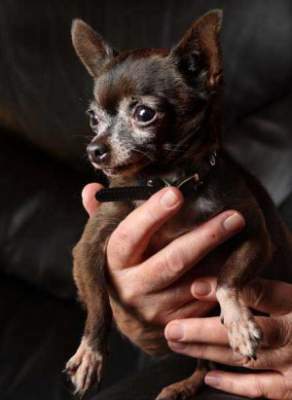 Read about Archie in Archie's Chihuahua Rescue Victoria Success Story! 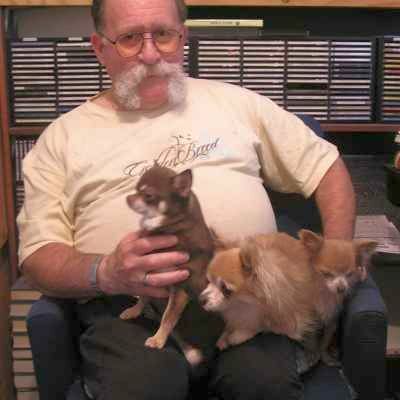 Front gallery picture of Felix the Wonderdog and Beany the Superdog. 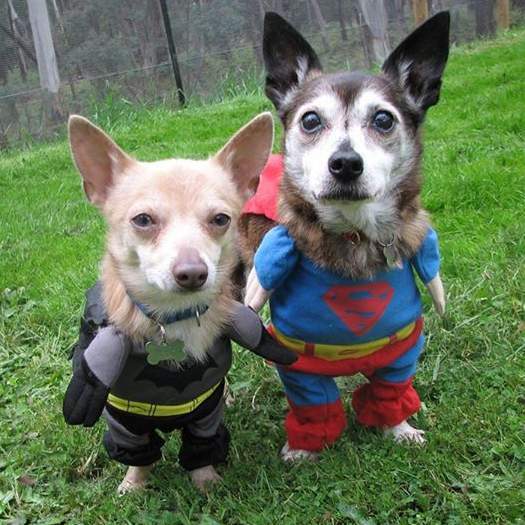 This just in: be on the look out for Felix the Wonderdog and Beany the Superdog - thanks for this brilliant photo from Facebook. 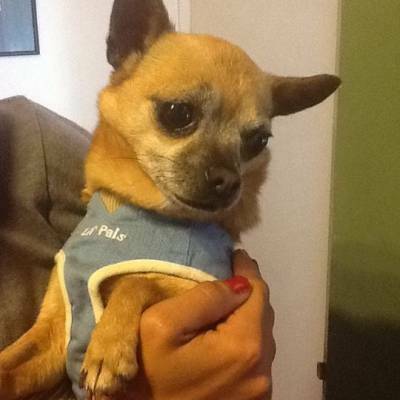 Read about Felix in Felix's Chihuahua Rescue Victoria Success Story! Front gallery picture of Newly. Newly arrived - and named - Breezy. Read more about her in Breezy's Success Story!! 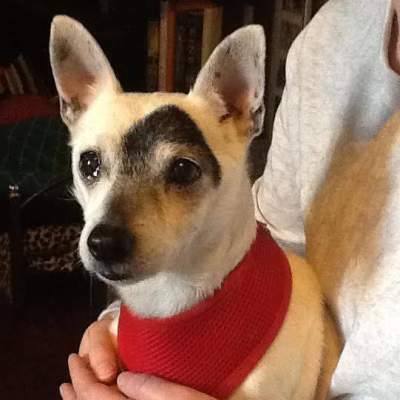 Breezy looking for her forever home but will require gentle nursing and spoiling for the rest of her life, May 2014. 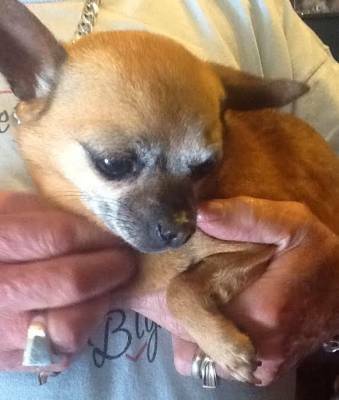 Breezy looking for her forever home but will require gentle nursing and spoiling for the rest of her life, May 2014. Read more about her in Breezy's Success Story!! 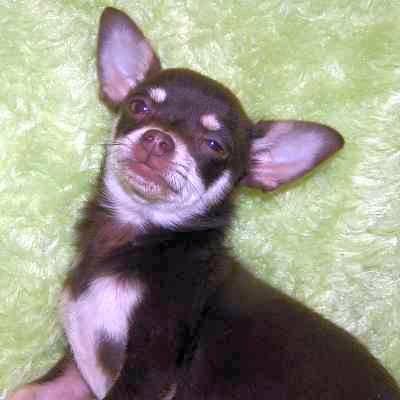 Front gallery picture of Breezy, a little darling who has now survived massive surgery, May 2014. 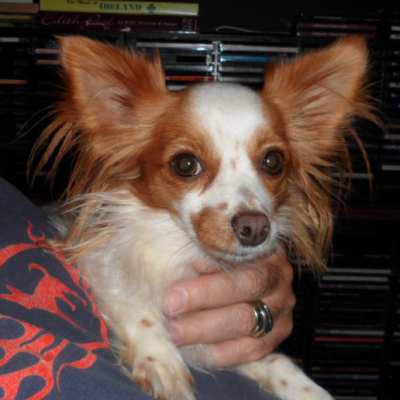 Breezy is a little darling who has now survived massive surgery, May 2014. Read more about her in Breezy's Success Story!! Front gallery picture of Lasagna - Check out those gorgeous eyes. Check out those gorgeous eyes - Lasagne, November 2013. Read more about Lasagne in our February 2014 newsletter! 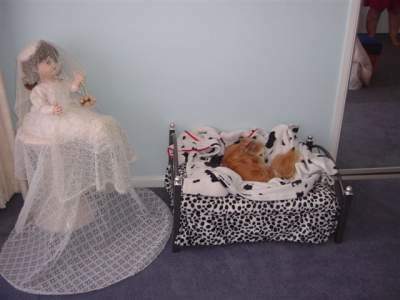 Front gallery picture of Lasagne deciding which bed to take, December 2013. Lasagne deciding which bed to take, December 2013. Read more about Lasagne in our February 2014 newsletter! 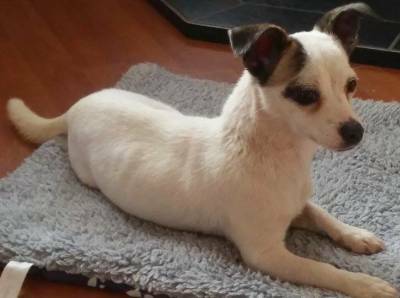 Penny was 1 year and 8 months old, and had been abused - so we were seeking a peaceful quiet home for this darling little girl. Thankfully, that is just what she has found. Monday the 12th of August 2013. 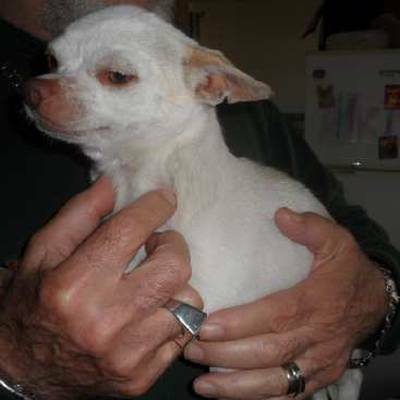 Penny was 1 year and 8 months old, and had been abused - so we were seeking a peaceful quiet home for this darling little girl. Thankfully, that is just what she has found. Monday the 12th of August 2013. 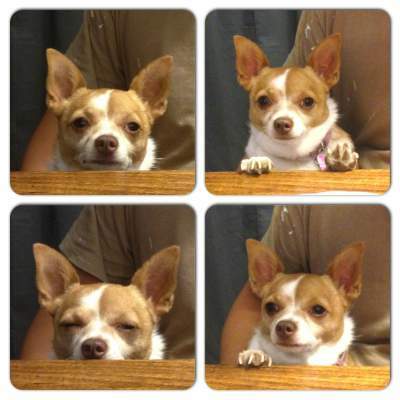 Read more about Penny on her very own page: Penny's Chihuahua Success Story! Front gallery picture of Penny. 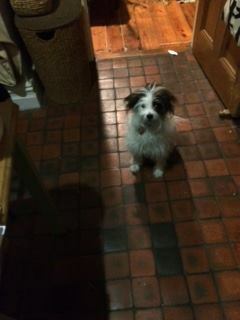 Penny says: those noms you're cooking - they're for me right? February, 2014. 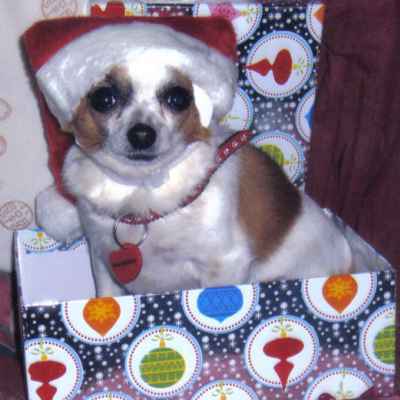 Read more about Penny on her very own page: Penny's Chihuahua Success Story! Penny with her fabulous Winter coat. February, 2014. 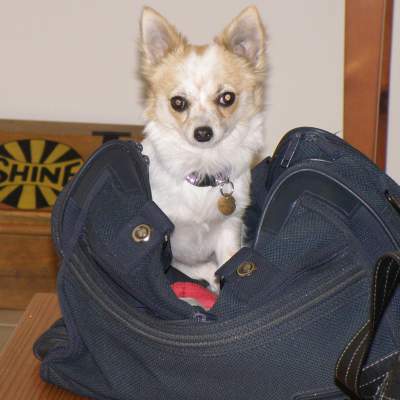 Read more about Penny on her very own page: Penny's Chihuahua Success Story! 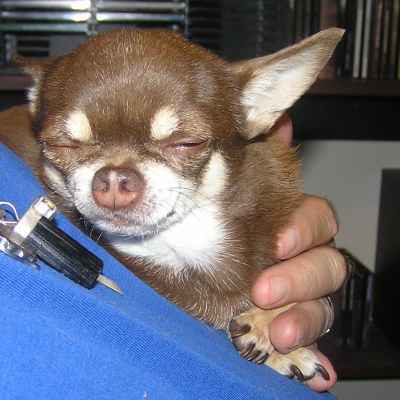 Chucky in Mayer’s arms when we first put him up for adoption. Friday, 17th of January 2014. 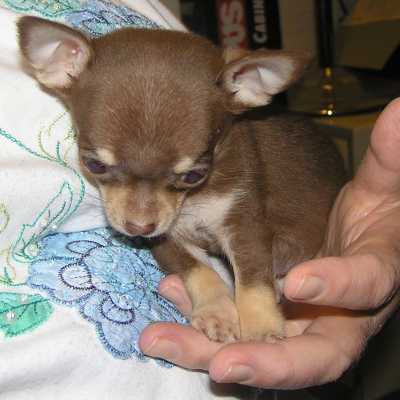 Chucky in Mayer’s arms when we first put him up for adoption. Friday, 17th of January 2014. 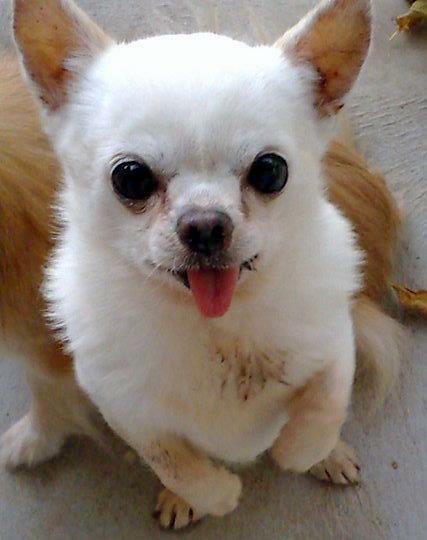 Read more about Chucky on his very own page: Chucky's Chihuahua Success Story! Chucky just going with his new Mummy this afternoon. 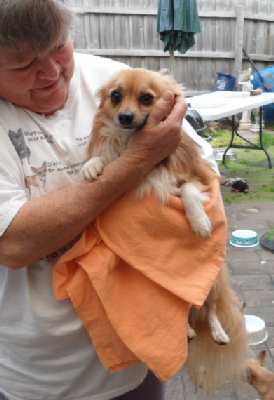 A very lucky little man getting a second chance in a loving home. Wednesday, 29th of January 2014. Chucky just going with his new Mummy this afternoon. 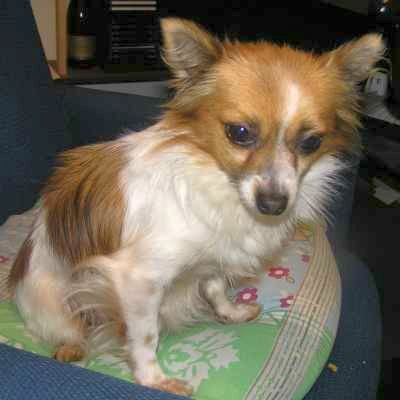 A very lucky little man getting a second chance in a loving home. Wednesday, 29th of January 2014. 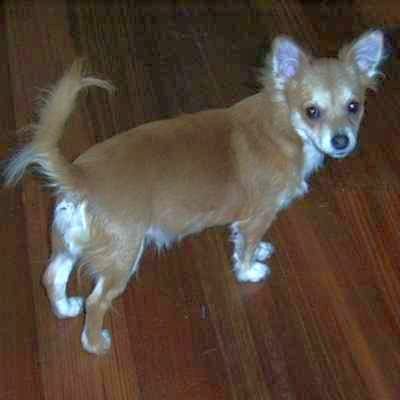 Read more about Chucky on his very own page: Chucky's Chihuahua Success Story! Chucky with a kangaroo tendon perfectly positioned between couch cushions! February, 2014. 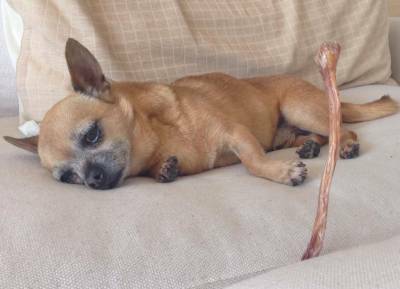 Chucky with a kangaroo tendon perfectly positioned between couch cushions! February, 2014. 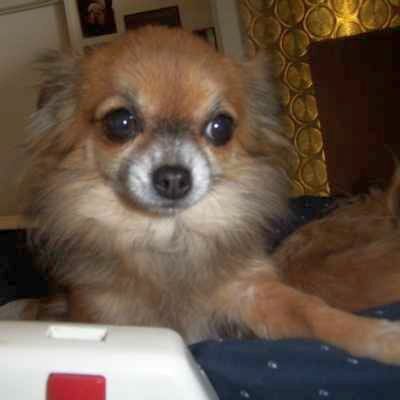 Read more about Chucky on his very own page: Chucky's Chihuahua Success Story! Chucky relaxing on the grass! February, 2014. Chucky relaxing on the grass! February, 2014. 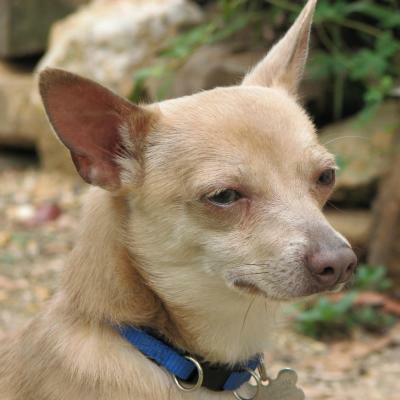 Read more about Chucky on his very own page: Chucky's Chihuahua Success Story! 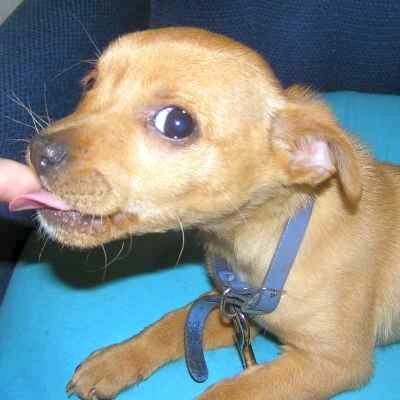 Zippy when we first put him up for adoption. 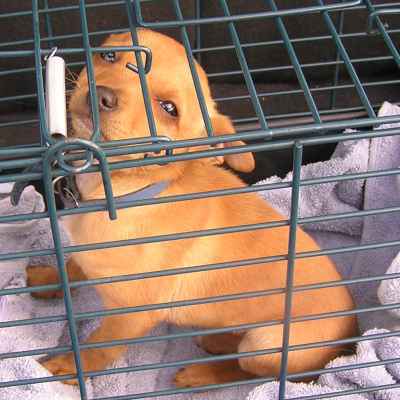 April, 2012..
Zippy when we first put him up for adoption. April, 2012. 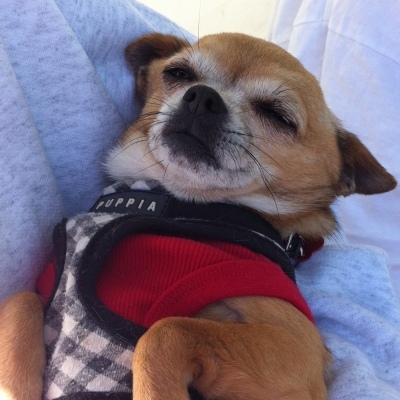 Read more about Zippy on his very own page: Zippy's Chihuahua Success Story! 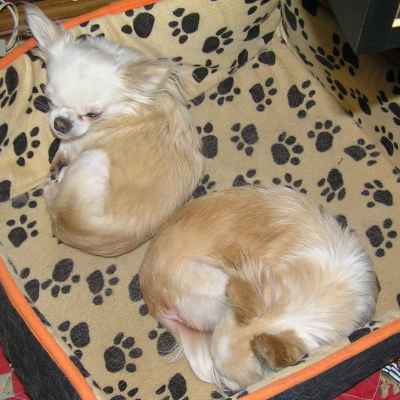 Zippy (right) and his girlfriend Kira having a snooze together! July, 2013. 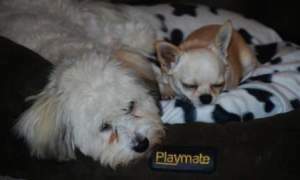 Zippy (right) and his girlfriend Kira having a snooze together! July, 2013. 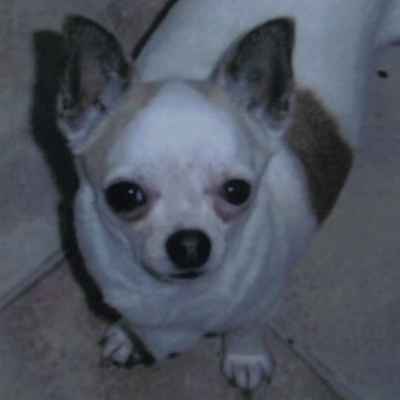 Read more about Zippy on his very own page: Zippy's Chihuahua Success Story! Zippy (right) and Kira (left) in the garden together! July, 2013. Zippy (right) and Kira (left) in the garden together! July, 2013. 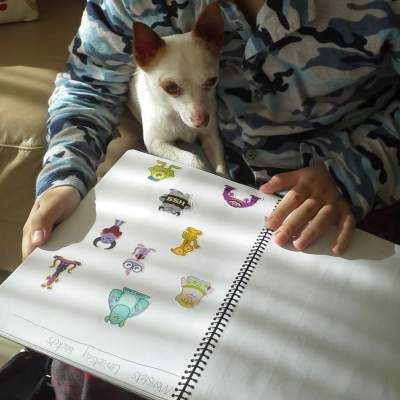 Read more about Zippy on his very own page: Zippy's Chihuahua Success Story! Zippy (right) and Kira (left) on the couch! July, 2013. Zippy (right) and Kira (left) on the couch! July, 2013. 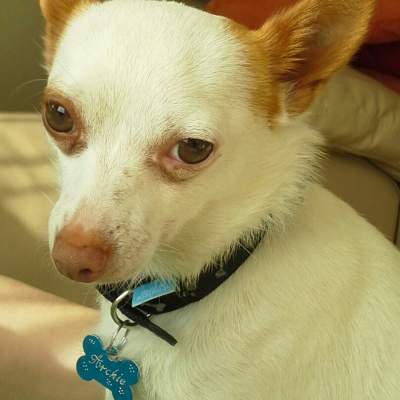 Read more about Zippy on his very own page: Zippy's Chihuahua Success Story! 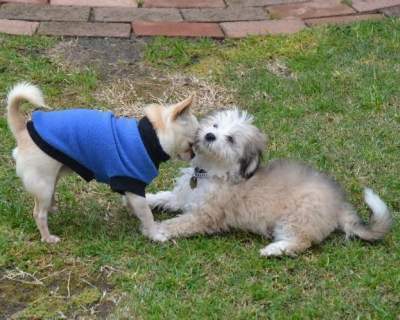 Zippy (left) and Kira (right) playing in the garden! July, 2013. Zippy (left) and Kira (right) playing in the garden! July, 2013. 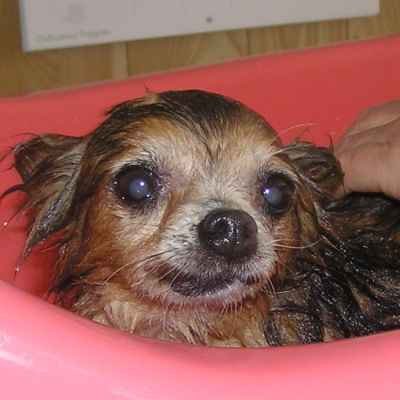 Read more about Zippy on his very own page: Zippy's Chihuahua Success Story! 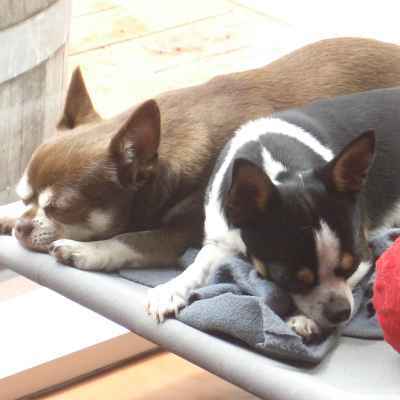 Zippy (right) sleeping on Kira! April, 2012. 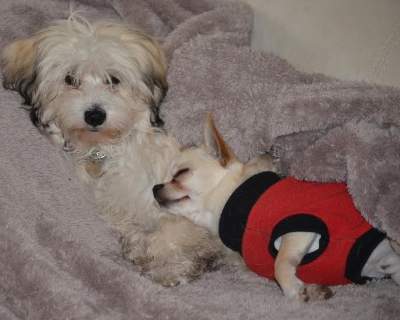 Zippy (right) sleeping on Kira! April, 2012. 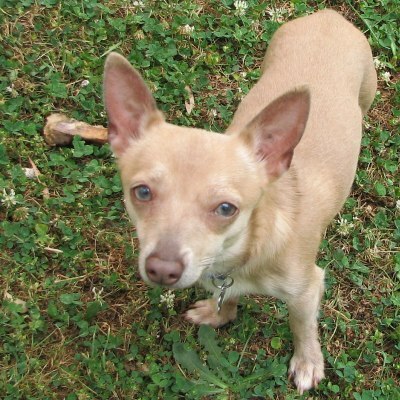 Read more about Zippy on his very own page: Zippy's Chihuahua Success Story! Hosay walking on the path near the beach. February 2014. 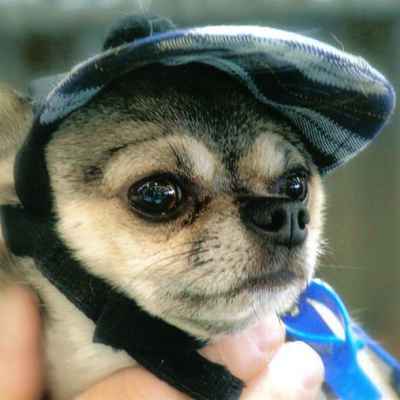 Read more about Hosay on his very own page: Hosay's Chihuahua Success Story! Hosay's first experience of the beach and ocean. Isn't he looking just fabulous, and lead free! February 2014. 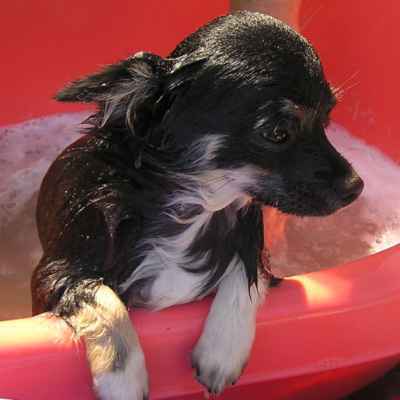 Read more about Hosay on his very own page: Hosay's Chihuahua Success Story! Hosay on the beach. February 2014. 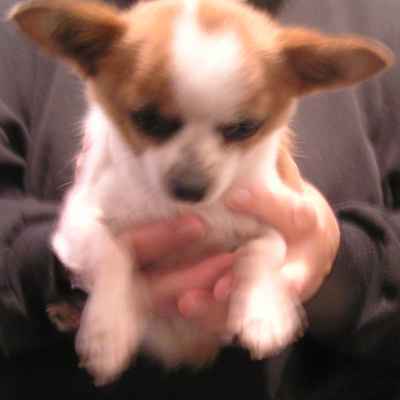 Read more about Hosay on his very own page: Hosay's Chihuahua Success Story! 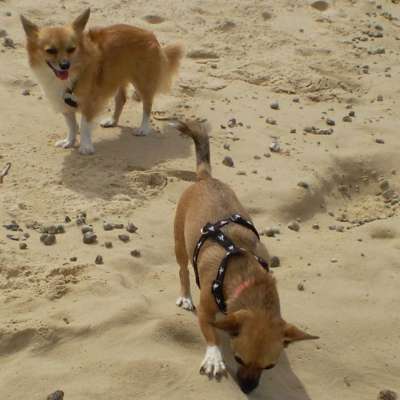 Hosay (top) and his best mate Nismo (bottom) on the beach. February 2014. 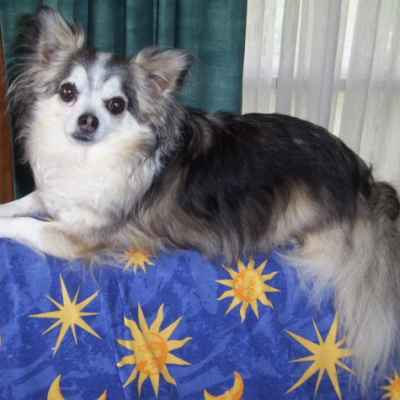 Read more about Hosay on his very own page: Hosay's Chihuahua Success Story! From an update we received on Hosay in August 2013. 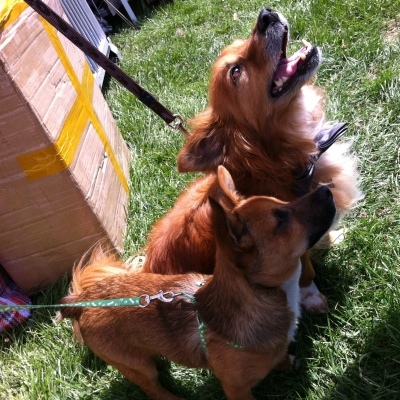 Here is Hosay (right) and Nismo (left) enjoying the sunshine - and each other's company! From an update we received on Hosay in August 2013. 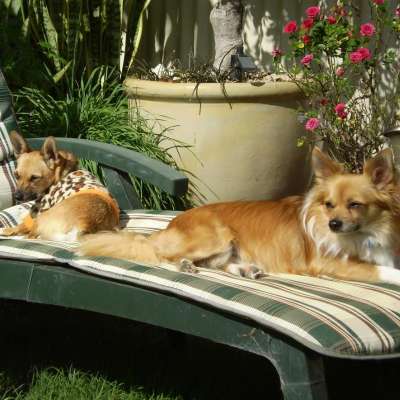 Here is Hosay (right) and Nismo (left) enjoying the sunshine - and each other's company! (August 21, 2013.) 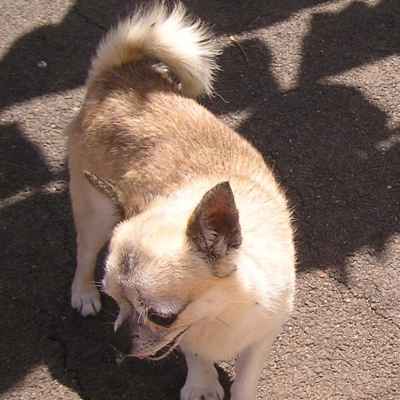 Read more about Hosay on his very own page: Hosay's Chihuahua Success Story! Hosay (right) and his new friend, Nismo! May 2013. 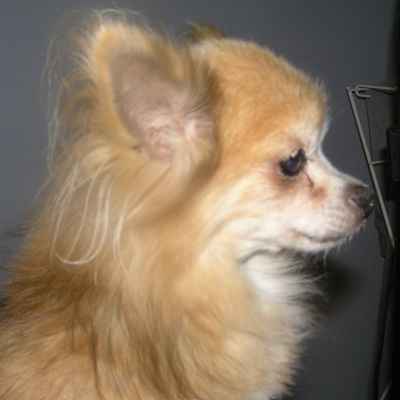 Read more about Hosay on his very own page: Hosay's Chihuahua Success Story! Hosay is about to have his first bath this week and we will see his glorious coat blossom! July 2012. 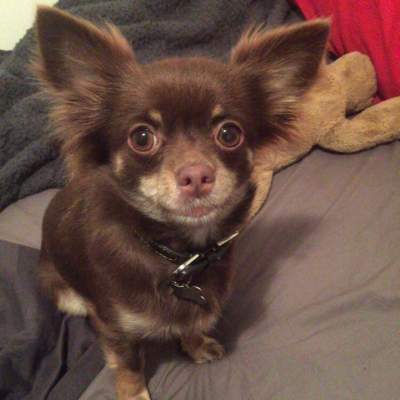 Read more about Hosay on his very own page: Hosay's Chihuahua Success Story! 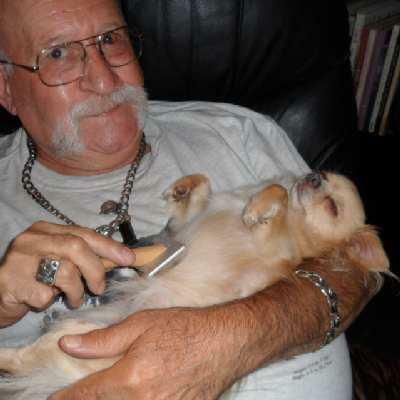 Hosay getting a nice brushing! August 2012. 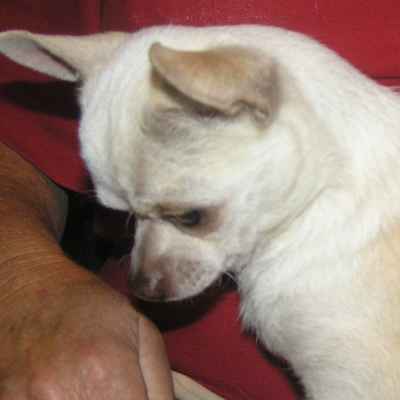 Read more about Hosay on his very own page: Hosay's Chihuahua Success Story! Front gallery picture of Bella. Bella! May 2013. She was a very sad little girl, very sore with broken ribs. But she found a wonderful home! 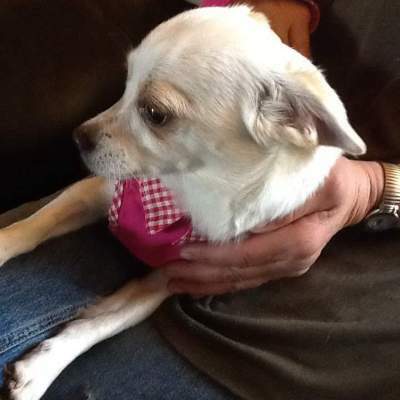 Read more about Bella on her very own page: Bella's Chihuahua Success Story! 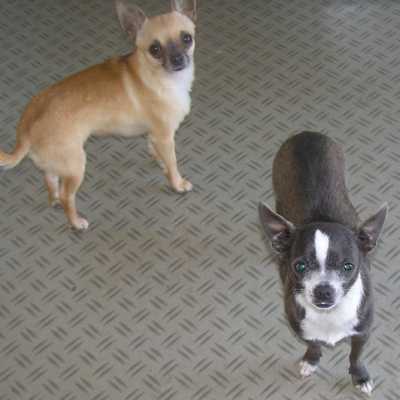 Nillie the Chihuahua and Little Man the Greyhound! 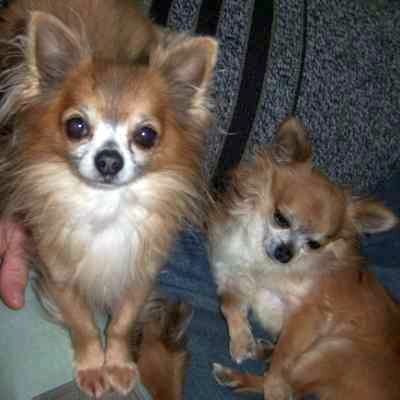 Nillie the Chihuahua and Little Man the Greyhound!! March 2013. 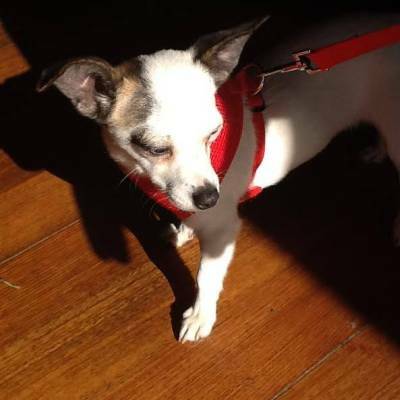 Read more in Nillie's Success Story! 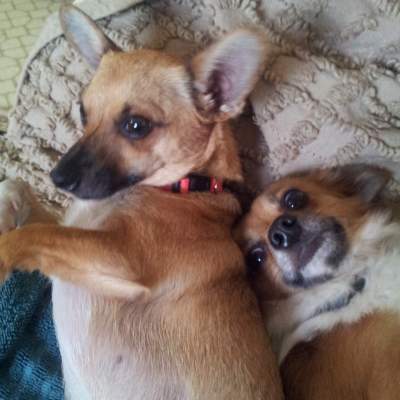 Nillie the Chihuahua (left) and Pinky the Jack Russell (right) looking suspiciously innocent. March 2013. 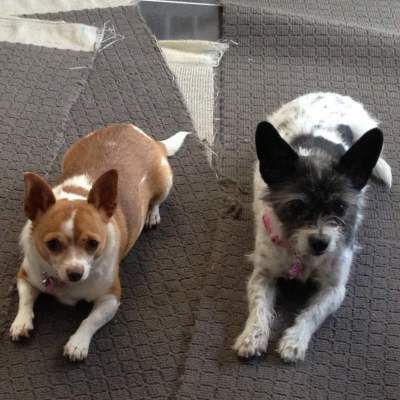 Nillie the Chihuahua (left) and Pinky the Jack Russell (right) looking suspiciously innocent. March 2013. 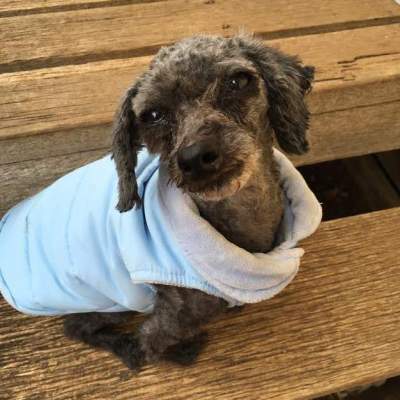 Read more in Nillie's Success Story! Front gallery picture of Nillie. 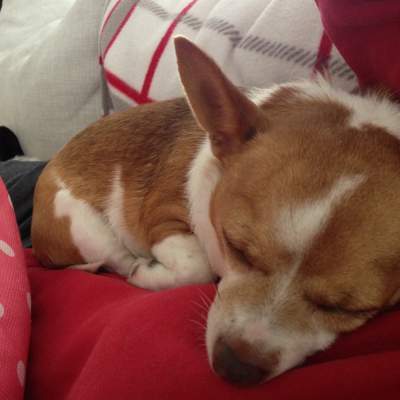 Nillie sleeping on Mummy’s Tummy. March 2013. Read more in Nillie's Success Story! Nillie in four pictures. March 2013. Nillie in four pictures. March 2013. Read more in Nillie's Success Story! 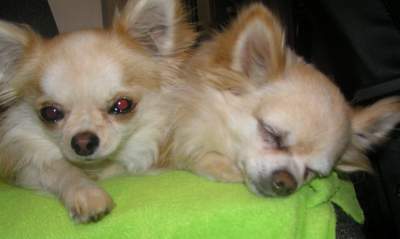 Nillie (left) and Pinky (right) just chilling. March 2013. 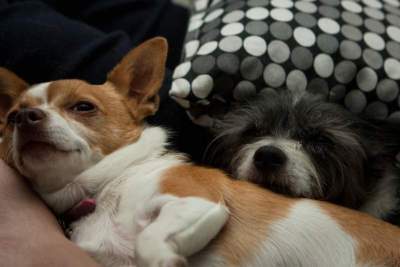 Nillie (left) and Pinky (right) just chilling. March 2013. Read more in Nillie's Success Story! Nillie having a lot of fun at the park! March 2013. Nillie having a lot of fun at the park! March 2013. 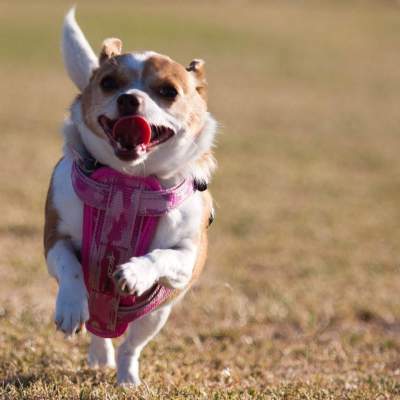 Read more in Nillie's Success Story! Front gallery picture of Bomber. 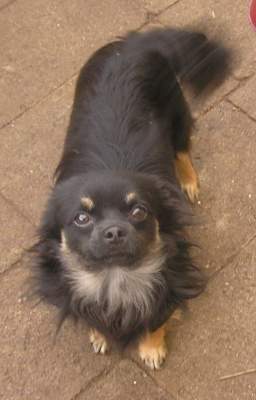 Bomber in September 2012 before adoption. 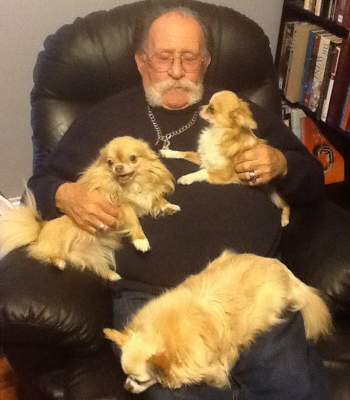 Read more in Bomber's Success Story! Front gallery picture of Butler. 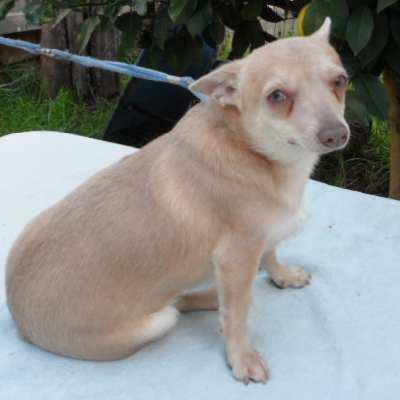 Butler in May 2012, before he was adopted. Read more in Butler's Success Story - Part 2! Front gallery picture of Gigi. 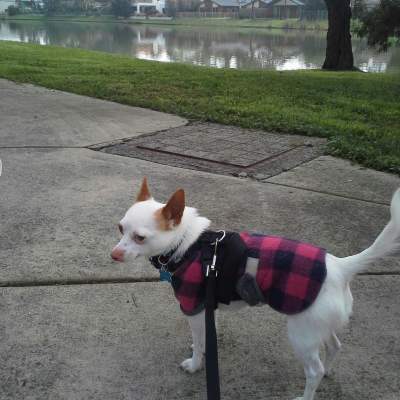 Gigi, on the day Chihuahua Rescue Victoria attended the Big Day for Dogs at the KCC Park on December 2012. See the whole gallery in our Facebook Album. Front gallery picture of Miki. 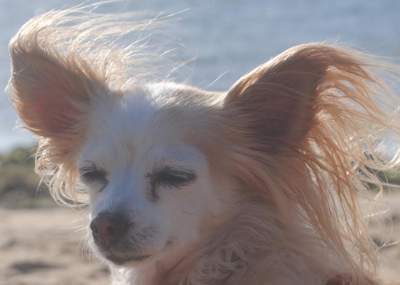 Miki: not a rescue dog but very close to our hearts, on the day Chihuahua Rescue Victoria attended the Big Day for Dogs at the KCC Park on December 2012. See the whole gallery in our Facebook Album. 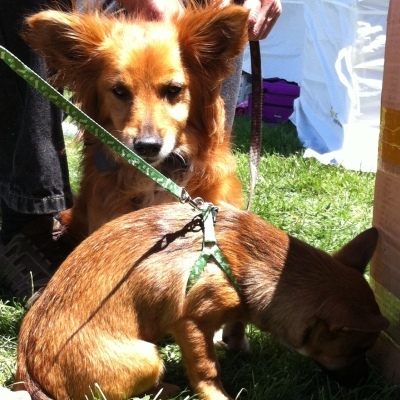 Roscoe (front) and his best mate Rusty, on the day Chihuahua Rescue Victoria attended the Big Day for Dogs at the KCC Park on December 2012. 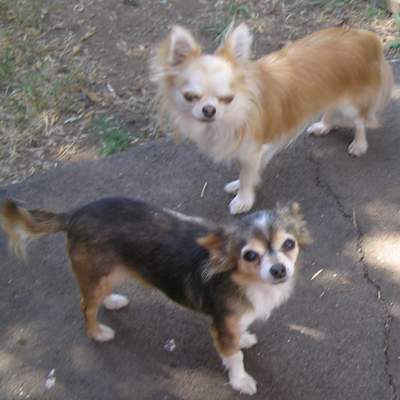 Roscoe (front) and his best mate Rusty, on the day Chihuahua Rescue Victoria attended the Big Day for Dogs at the KCC Park on December 2012. See the whole gallery in our Facebook Album. 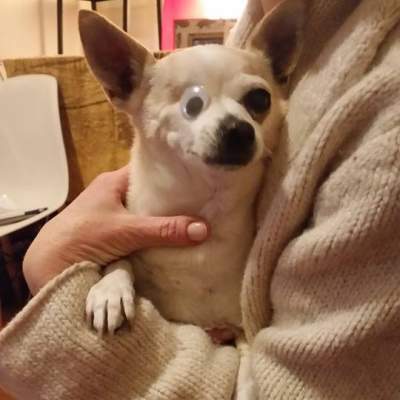 Learn more about Roscoe - the Chihuahua Rescue Victoria dog who was born without any eyes - at his own Facebook Page. Roscoe Bobble Heads on sale on the day Chihuahua Rescue Victoria attended the Big Day for Dogs at the KCC Park on December 2012. 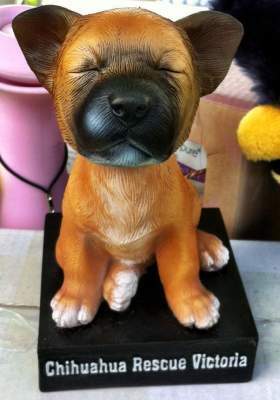 Roscoe Bobble Heads on sale on the day Chihuahua Rescue Victoria attended the Big Day for Dogs at the KCC Park on December 2012. See the whole gallery in our Facebook Album. 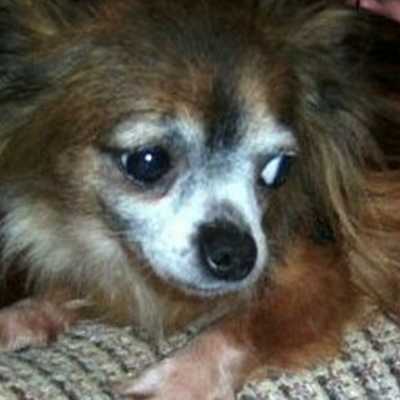 Learn more about Roscoe - the Chihuahua Rescue Victoria dog who was born without any eyes - at his own Facebook Page. Front gallery picture of Roscoe. 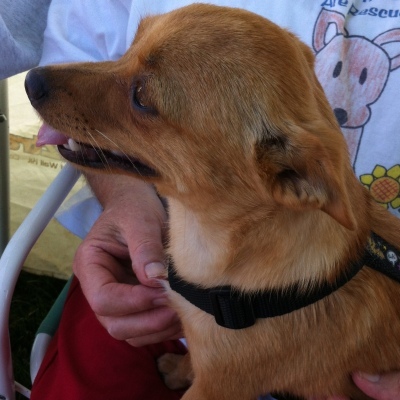 Roscoe on the day Chihuahua Rescue Victoria attended the Big Day for Dogs at the KCC Park on December 2012. See the whole gallery in our Facebook Album. 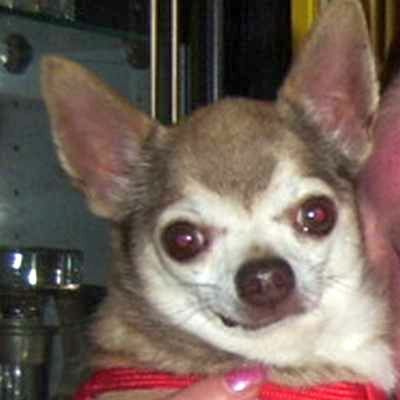 Learn more about Roscoe - the Chihuahua Rescue Victoria dog who was born without any eyes - at his own Facebook Page. 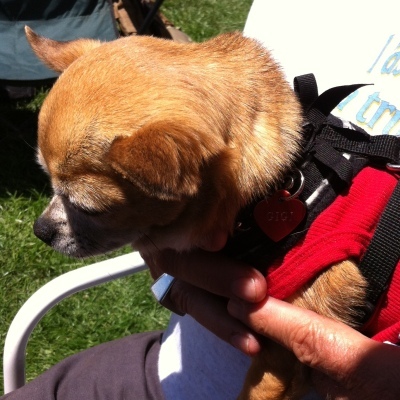 Roscoe on the day Chihuahua Rescue Victoria attended the Big Day for Dogs at the KCC Park on December 2012. 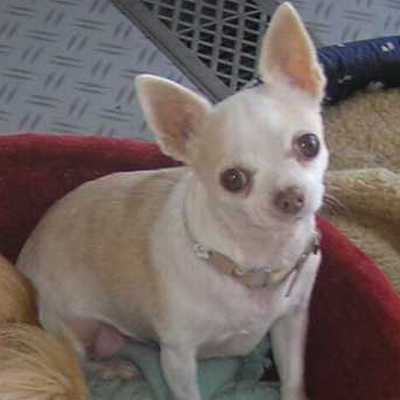 Roscoe's other mate, on the day Chihuahua Rescue Victoria attended the Big Day for Dogs at the KCC Park on December 2012. 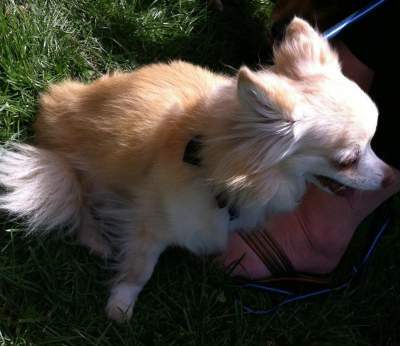 Roscoe's other mate, on the day Chihuahua Rescue Victoria attended the Big Day for Dogs at the KCC Park on December 2012. See the whole gallery in our Facebook Album. Front gallery picture of Babe. Babe, 2 years and her puppy, Felix at one year old. (April 2012.) Read more in Felix's Success Story! Front gallery picture of Felix. 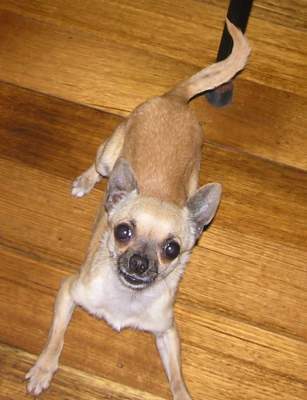 Felix as an eleven month old Chihuahua, very playful. He is a good healthy little guy and we just love his blue eyes! 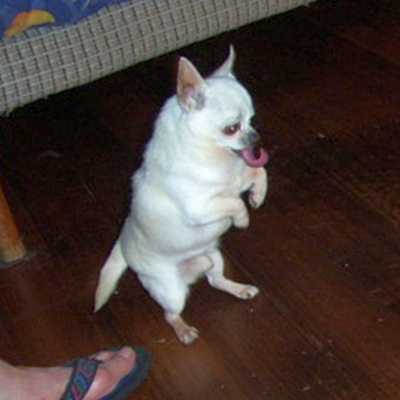 Most unusual in a Chihuahua! (May, 2012.) Read more in Felix's Success Story! Felix in the yard. (November 2012.) Read more in Felix's Success Story! Beautiful photo on the 6 month anniversary of Felix in his wonderful new home. (November 2012.) Read more in Felix's Success Story! Rocky in his green jacket with Lynda! (July, 2012. Front gallery picture of Missy and Percy. Front gallery picture of Willis. Front gallery picture of Willis and Dexter, the cat he bothers! Willis and Dexter, the cat he brothers! September 2011. Front gallery picture of Cricket. Front gallery picture of Sammi. 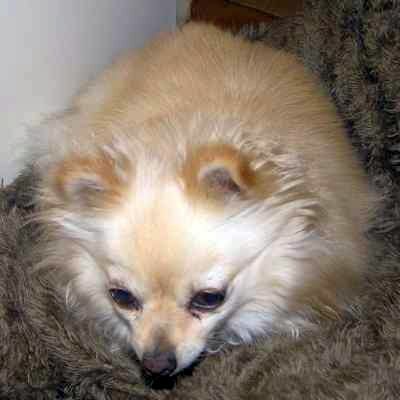 Sammi the fluff ball May 2011. 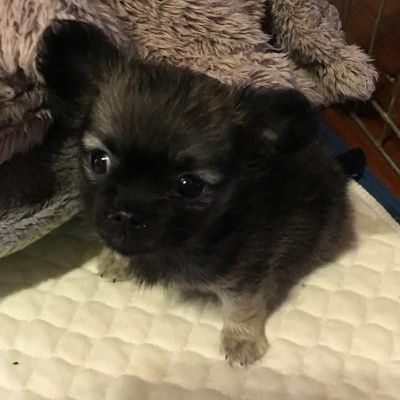 Front gallery picture of Tiny. Tiny 15 May 2011 first day, May 2011. Front gallery picture of Alice. 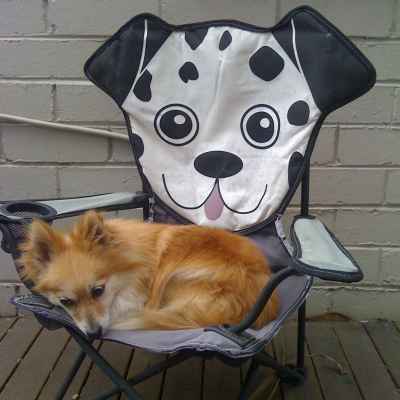 Alice - now called Gypsy by her new family - has claimed her chair! 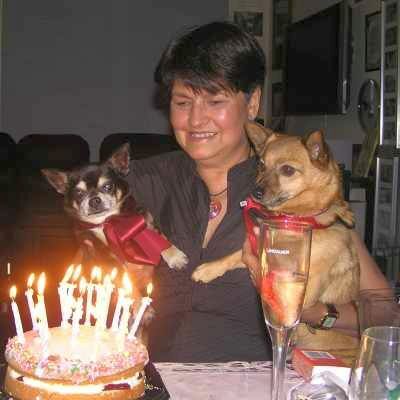 Read her heart-warming story in our Success Stories page. Visit Alice's blog page if you would like to comment on her story. Front gallery picture of Rusty. 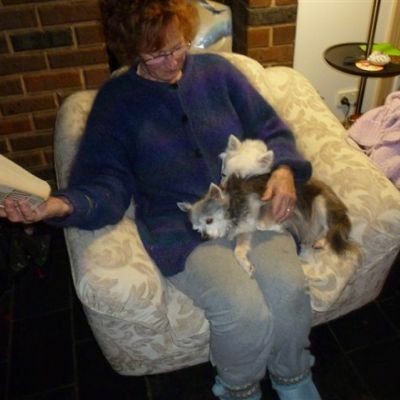 Rusty visiting Ketura while she was in Vic Rehab 2010. Yo Yo just after having a swim at the beach. He was adopted in 2010. Princess, August, 2010. Says her human: "spoilt rotten and is the Queen not the Princess!" 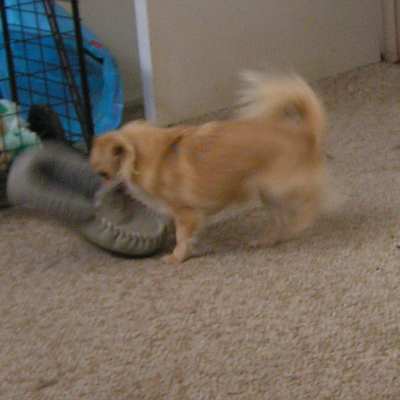 Tinka pinching Mum's slipper while Mum was in the shower! August, 2010. 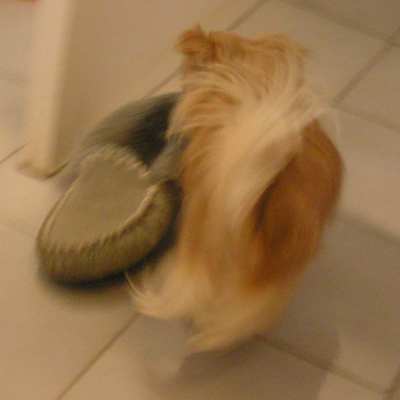 Tinka hiding Mum's slipper in the bedroom! August, 2010. 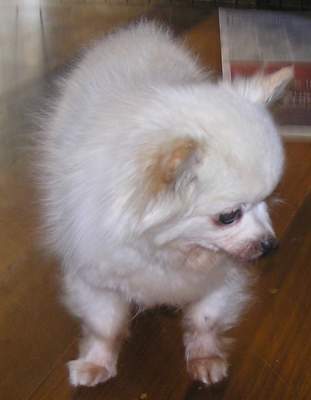 <span style="text-decoration: line-through;">Kia</span> Tia (The Age got her name wrong!) with Mayer in the Sunday Age, Sunday 15th of August, 2010. Kia Tia (The Age got her name wrong!) with Mayer in the Sunday Age, Sunday 15th of August, 2010: Better by design? 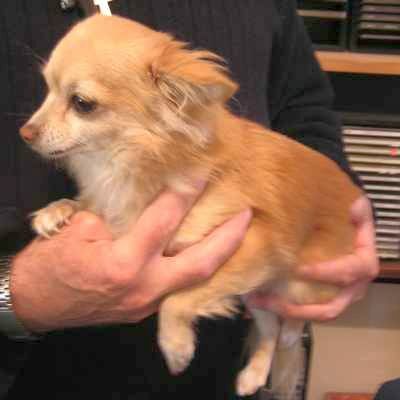 Rita of Chihuahua Rescue Victoria talks about the Chihuahua craze and its effects. Hilby in the Sunday Age, Sunday 15th of August, 2010. Hilby in the Sunday Age, Sunday 15th of August, 2010: Better by design? 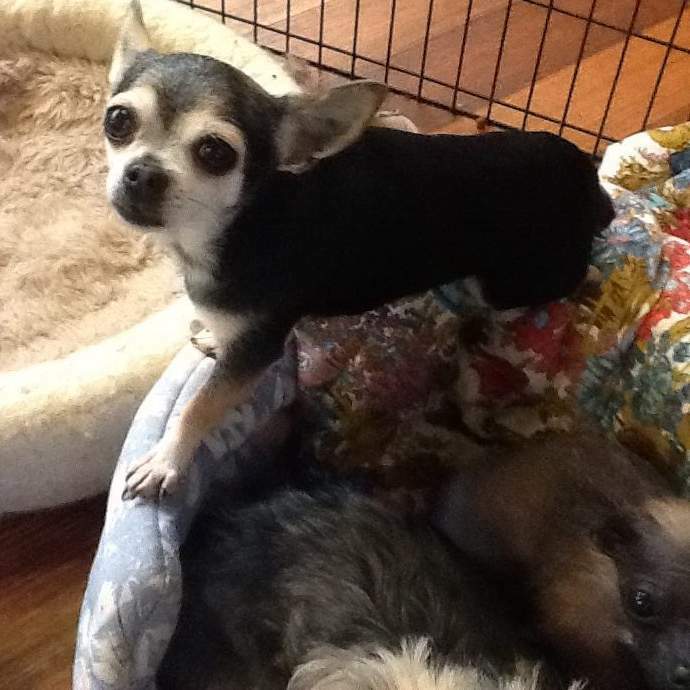 Rita of Chihuahua Rescue Victoria talks about the Chihuahua craze and its effects. See more in our 2010 newsletter: Did you see us in the Sunday Age today? Alice, still showing she is full of beans despite her leg. August 2010. 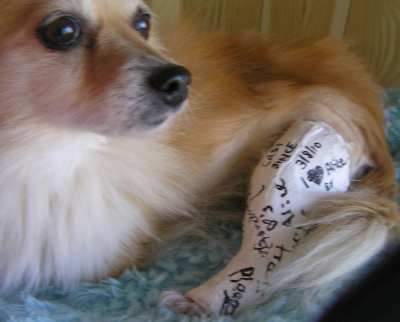 Alice, with her leg in a cast that everyone wants to sign! August 2010. 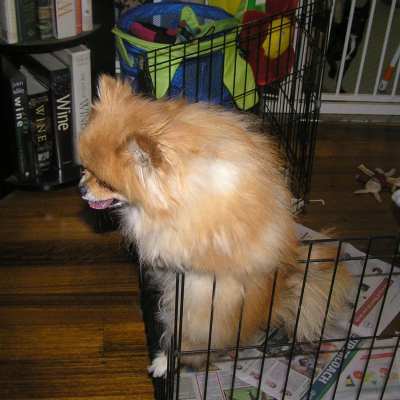 Pom Pom trying to escape in July 2010. Pom Pom - struggling to escape! July 2010. 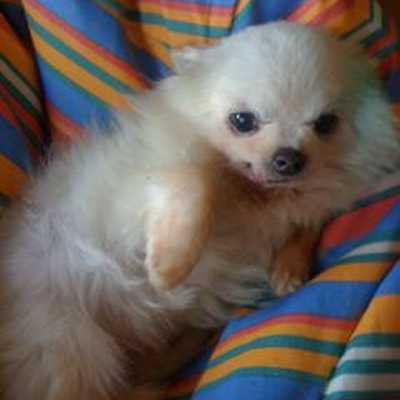 Pom Pom, a gorgeous little girl Pom Pom. July 2010. Front gallery picture of Peaches. 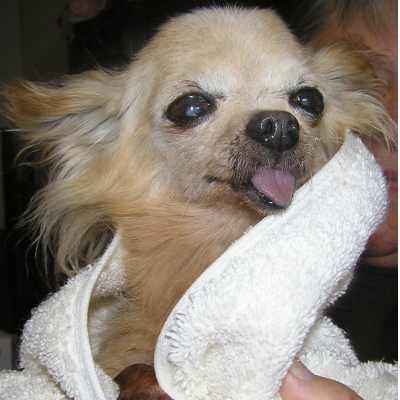 Peaches in her last days. She is featured in a Newsletter from Wednesday, 23rd of June 2010 - Good-bye Peaches. We will always love you. Front gallery picture of Curly, now Kelly. She was Curley in 2004/5 and Betty changed her name to Kelly. 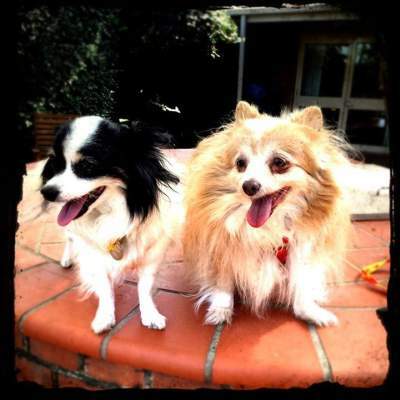 She is featured in a Success Story: Curley and Cara (now Kelly and Candy) - same family! Lucky, who went to a home with five kids and is spoilt rotten and loving his life. Front gallery picture of Bobby. 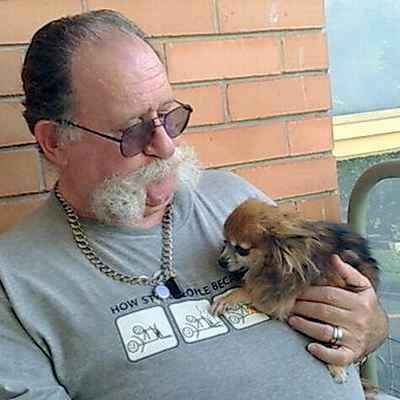 Bobby, who in 2010 has no teeth left and has retired with his family on a farm, well loved and living life to the full. Front gallery picture of Joey. Front gallery picture of Minty, Hilby and Tia. Front gallery picture of Buddy. Front gallery picture of Spotty. 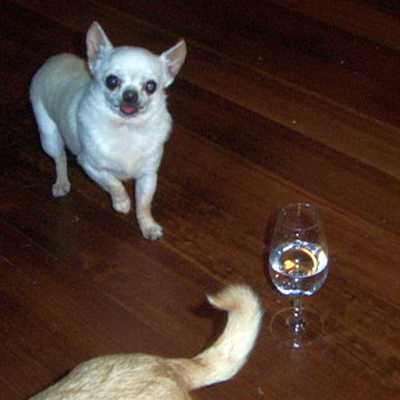 Front gallery picture of Disco, who spots a glass of wine on the floor. Disco spots a glass of wine on the floor. 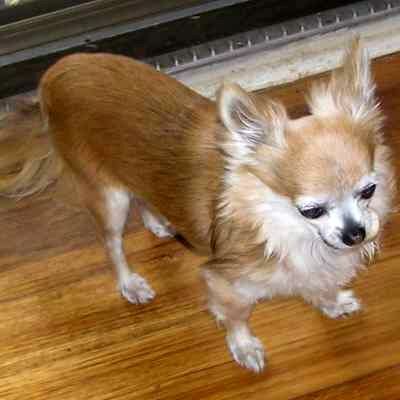 Read about Disco in Disco's Chihuahua Rescue Victoria Success Story! 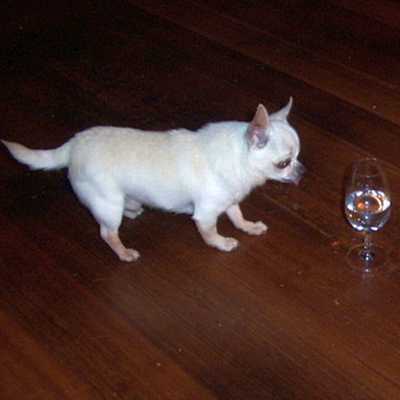 Front gallery picture of Disco: I wonder if I can get a sip before SHE spots me? Disco: wonder if I can get a sip before SHE spots me? 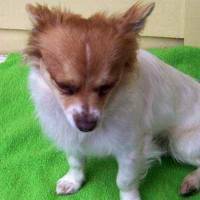 Read about Disco in Disco's Chihuahua Rescue Victoria Success Story! Front gallery picture of Disco: Disco: I"m getting closer! Disco: I"m getting closer! 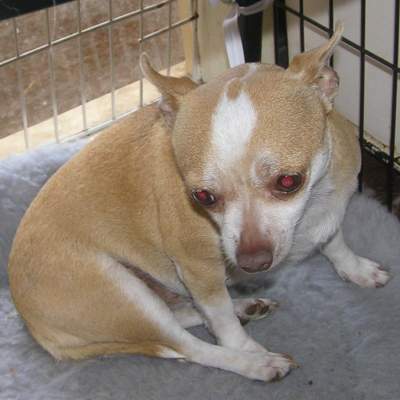 Read about Disco in Disco's Chihuahua Rescue Victoria Success Story! 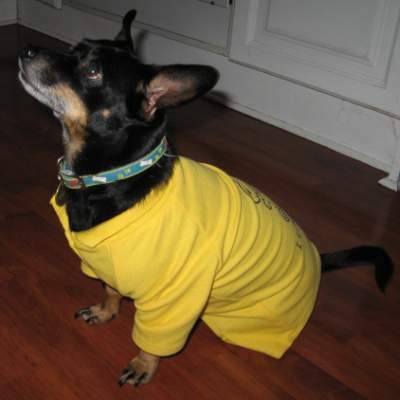 Front gallery picture of Disco: gosh I HATE this "dressing up" caper! 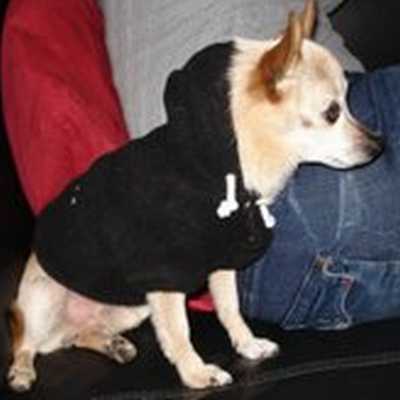 Disco: gosh I HATE this "dressing up" caper! 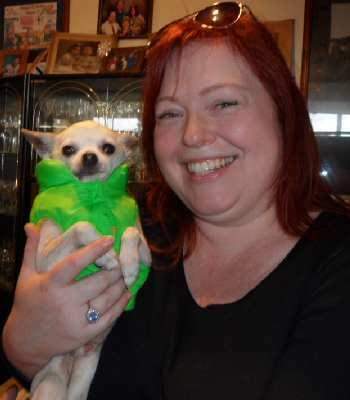 Read about Disco in Disco's Chihuahua Rescue Victoria Success Story! Shrimp says: I’m NOT a "teacup Chi", I’m a shrimp! 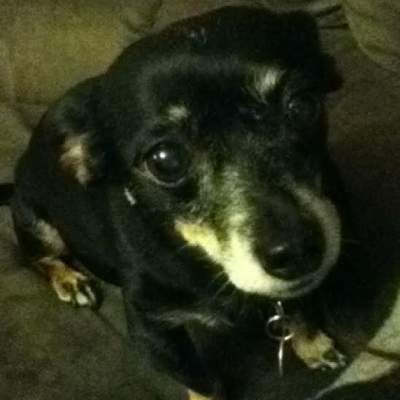 Front gallery picture of Missy. Front gallery picture of Mojo. Front gallery picture of Pablo. Pablo in his new home, August 2009. 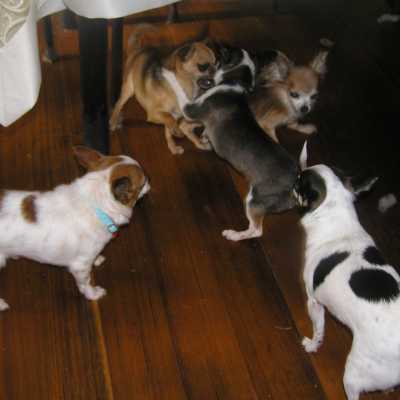 Front gallery picture of playtime for the Chihuahuas in 2009. Front gallery picture of Shrek and Tilly. Shrek and Tilly, August 2009. Front gallery picture of Shrimp. Front gallery picture of Amber. Front gallery picture of Chrissy. Front gallery picture of Sir Siddaly Vivian Vladimir Velour Venus Vicious. Sir Siddaly Vivian Vladimir Velour Venus Vicious… I know, it's a bit short… eh, what are you gonna do? Front gallery picture of Buzz. 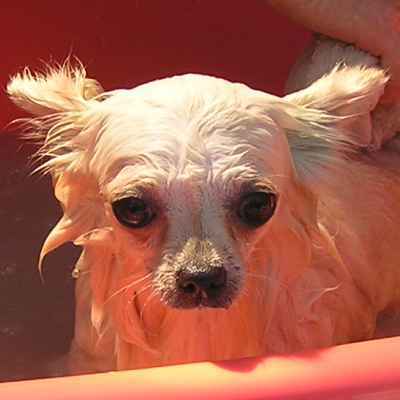 Front gallery picture of bath time for the Chihuahuas. 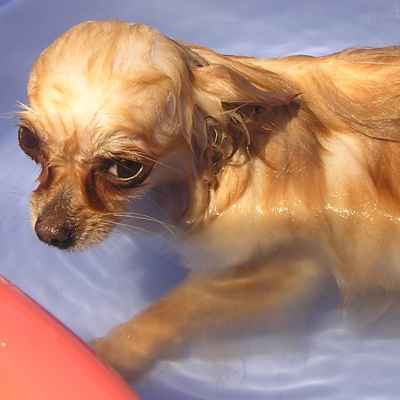 Bath time for the Chihuahuas! 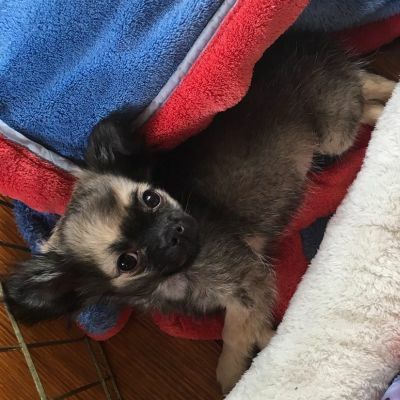 Front gallery picture of Gizmo. Gizmo ready for walkies 2007. Front gallery picture of Mayer and Gypsy. 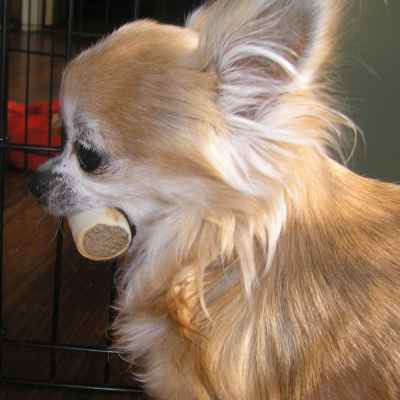 Rusty chewing on a piece of biscuit. 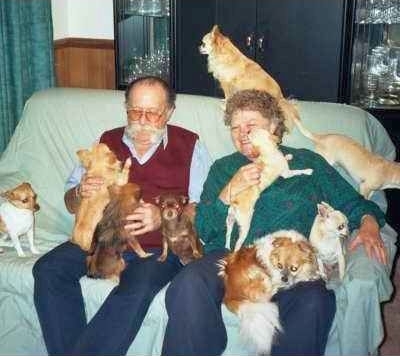 Front gallery picture of someone who says they don't like Chihuahuas! 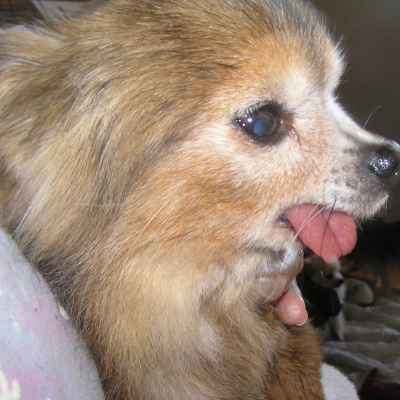 Rusty with a biscuit in his mouth. 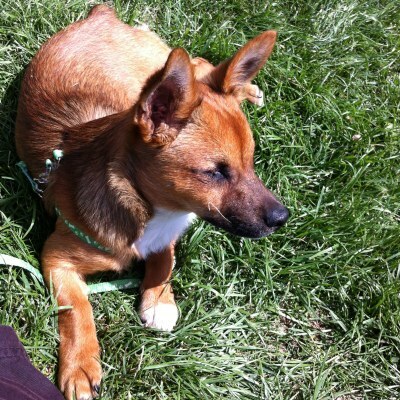 Front gallery picture of Gypsy. Front gallery picture of Bluey. Front gallery picture of Chancy. 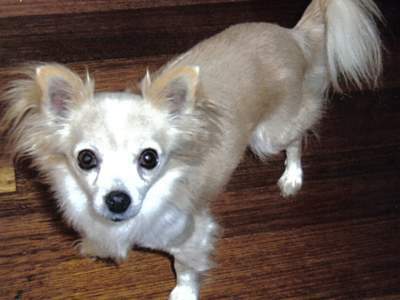 Cheechee when he was first up for adoption in June 2009. 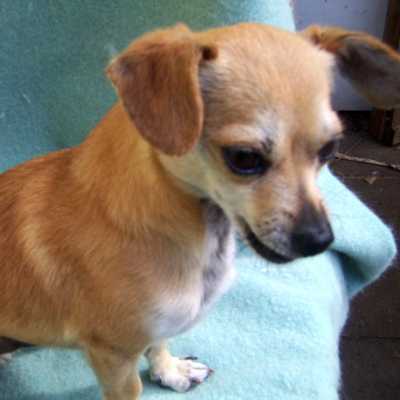 Cheechee gets along really well with other puppies as she is just so happy and playful. 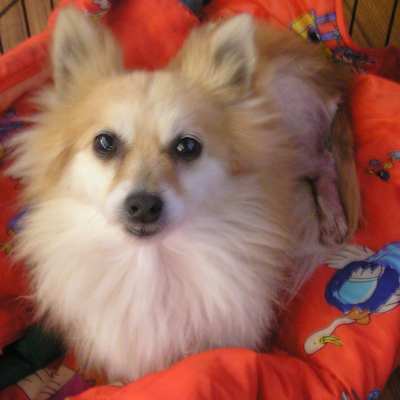 Cheechee when he was first up for adoption in June 2009. 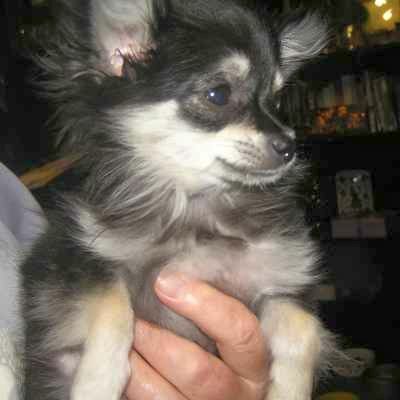 Cheechee gets along really well with other puppies as she is just so happy and playful. 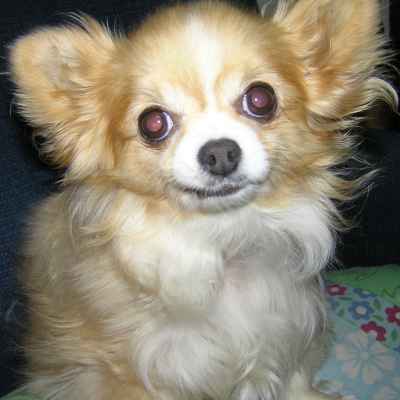 Read Chee Chee's Chihuahua Rescue Victoria Success Story here! Chee snoozing, June 2009. Her new Mum says: After quite a few attempts (from us) she made her first steps through our "cat door" and now she flies through like a rocket! Chee snoozing, June 2009. Her new Mum says: After quite a few attempts (from us) she made her first steps through our "cat door" and now she flies through like a rocket! 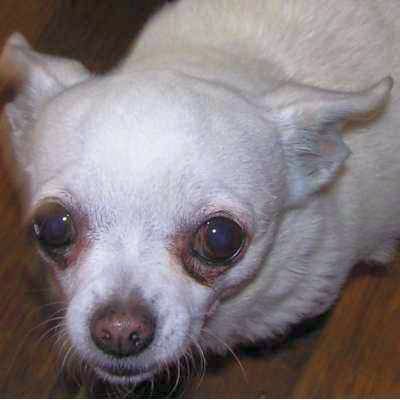 Read Chee Chee's Chihuahua Rescue Victoria Success Story here! Chee saying "Well, you have to take me now! ", June 2009. Chee saying "Well, you have to take me now! ", June 2009. 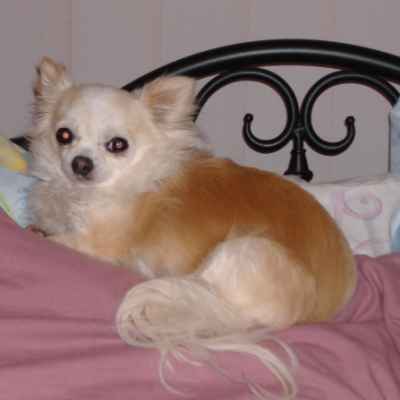 Read Chee Chee's Chihuahua Rescue Victoria Success Story here! Chee being watched by the lawn ornaments, June 2009. 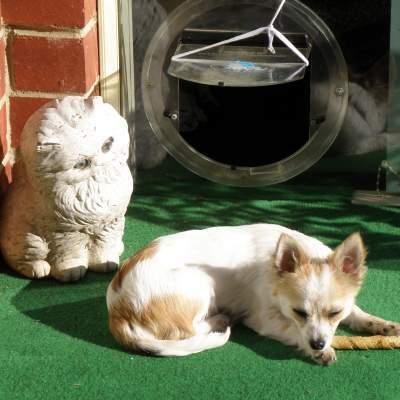 Chee being watched by the lawn ornaments, June 2009. 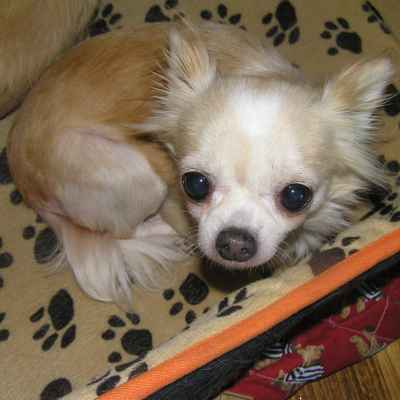 Read Chee Chee's Chihuahua Rescue Victoria Success Story here! Front gallery picture of Chuzzel. Front gallery picture of Cosee. From C (May 2009): I have just been looking on your site as I do every now and then to see what is going on with those gorgeous little guys of yours. 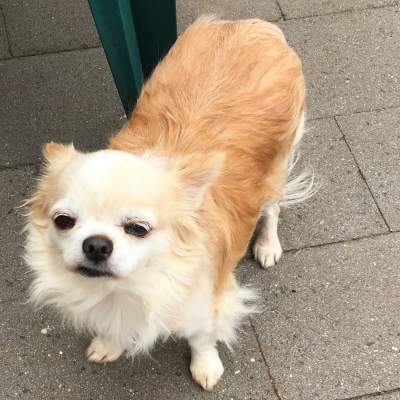 We actually have one of your dogs Starky and I thought after all these years I would send you a picture of him and let you know that he is still very safe, well and extrememly happy. Here he is in his tee. 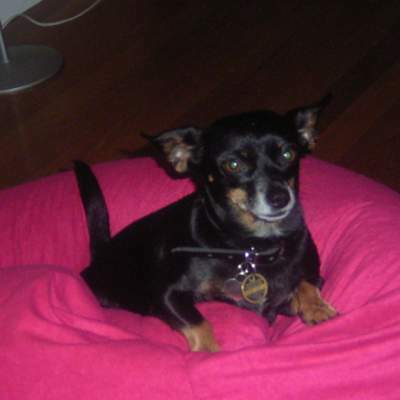 From C (May 2009): Starky loves his bean bag. He was called Darky, but for obvious reasons we renamed him to Starky! 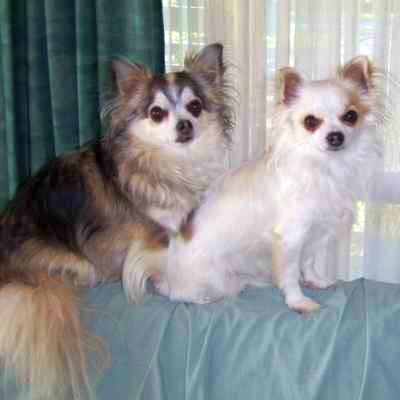 From C (May 2009): we now live with Starky on one and a half acres and Starky has had a brother for the last two years (that we saved from a person who was going to put him in the pound). The 2 dogs are best friends. 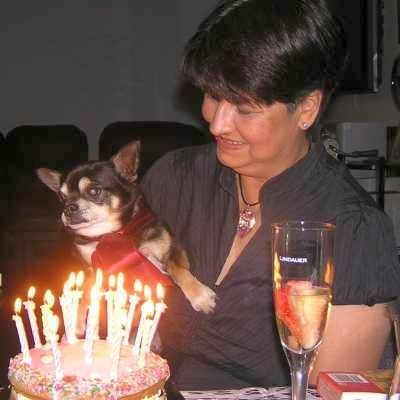 From K (June 2014): many years ago, maybe 2005 or 2006, my parents adopted beautiful Starky (previously Darky). He was only a baby about 18 months old. He was such a cheeky puppy, very spoilt and still is. He has two brothers, Trouble and Billy. He still acts like a puppy even though he's getting old. :) June, 2009. 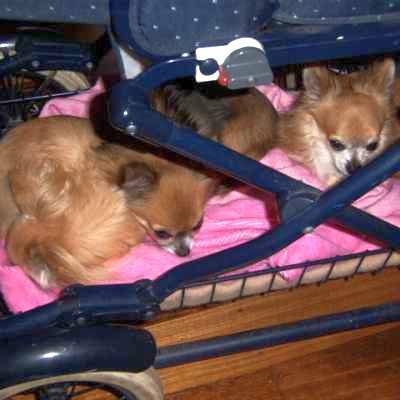 Princess and Peanut, July 2007. 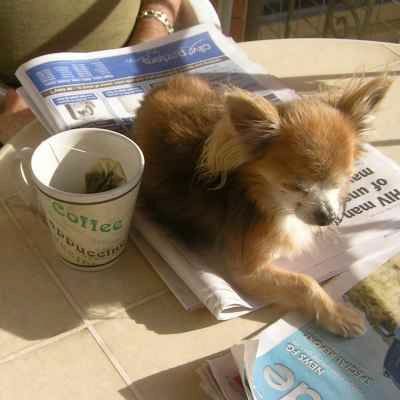 Prince on the table, sitting on Mayer's hat and newspaper! 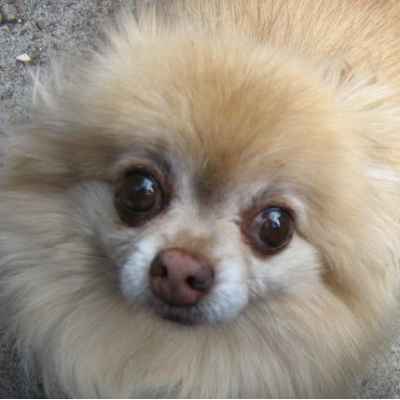 Front gallery picture of Prince Fluff Ball. 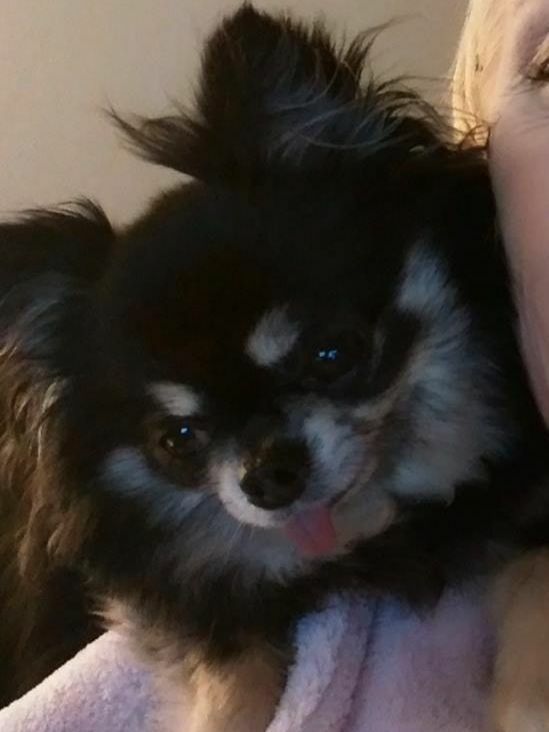 Front gallery picture of Princess. 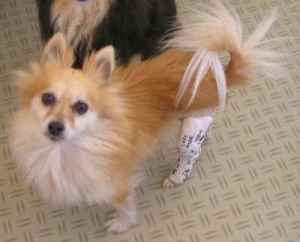 Poppy had X-rays and she has patella luxation in both hind legs. Poor little darling, four bung legs! They put steel pins in each leg. October 2008. Poppy is so much better after the operation. October 2008. Front gallery picture of Pepe. Front gallery picture of Pepe and Bambi. 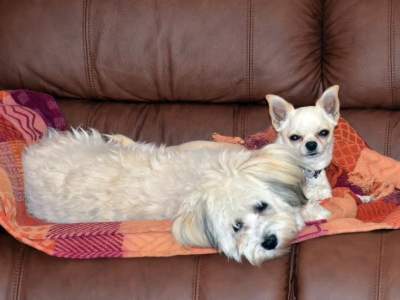 Pepe and Bambi on the couch. Front gallery picture of all the dogs patiently waiting for walkies! Front gallery picture of Whippy. 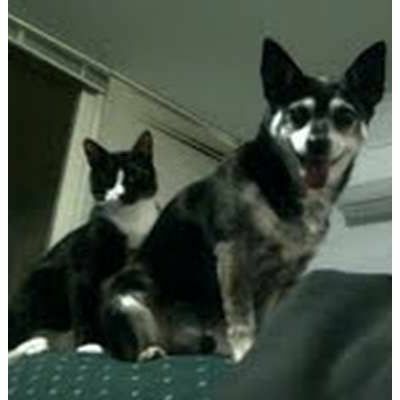 \Wanda and Mindy, February 2009. Front gallery picture of Tyke. Tyke, striking a pose - or just waking up! September, 2008. Front gallery picture of Tia. 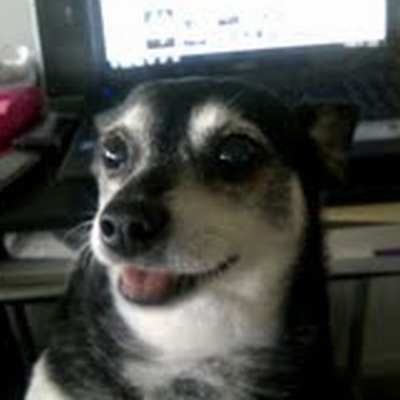 Tia the pocket dog, March 2009. Front gallery picture of Tango. Front gallery picture of Spooky. Soxy as a puppy (now Pepper). 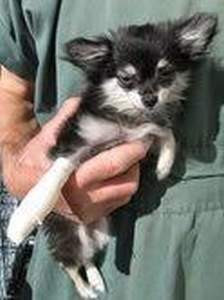 Soxy as a puppy in September 2007, (now Pepper) who you can read about in her very own Chihuahua Rescue Victoria Success Story from June 2009. 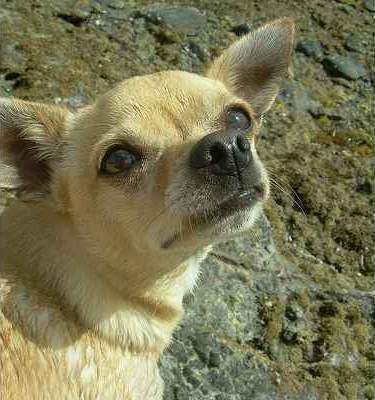 Soxy, who was renamed Pepper - who you can read about in her very own Chihuahua Rescue Victoria Success Story from June 2009. Front gallery picture of Sophie. Front gallery picture of Softy. Front gallery picture of Snowball. Front gallery picture of Snoopy. Front gallery picture of Scrappy. Front gallery picture of Sarah. Front gallery picture of Sammy. 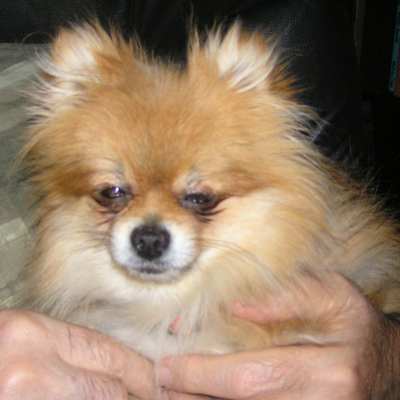 Sammy, 2005. "I hate this dressing up!" Front gallery picture of Rosie. Front gallery picture of Red. Red and doggies at play. 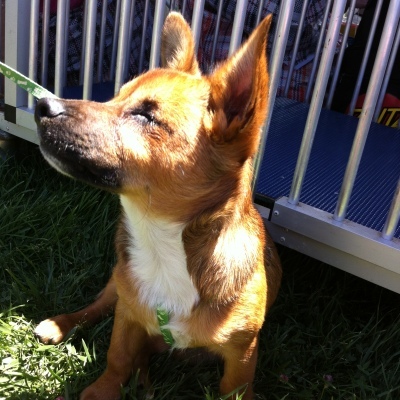 Front gallery picture of farewelling Red as he boarded the doggy coach to South Australia. Farewelling Red as he boarded the doggy coach to South Australia. 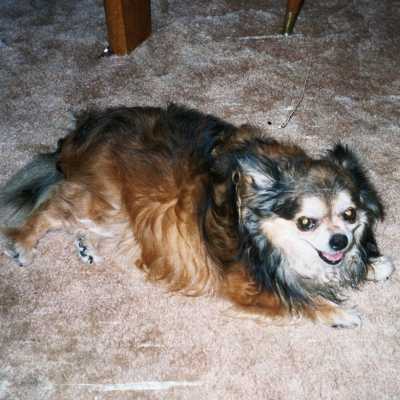 Peanut, who passed away in June 2007. Peaches. She is featured in a Newsletter from Wednesday, 23rd of June 2010 - Good-bye Peaches. We will always love you. Pablo, June 2009. 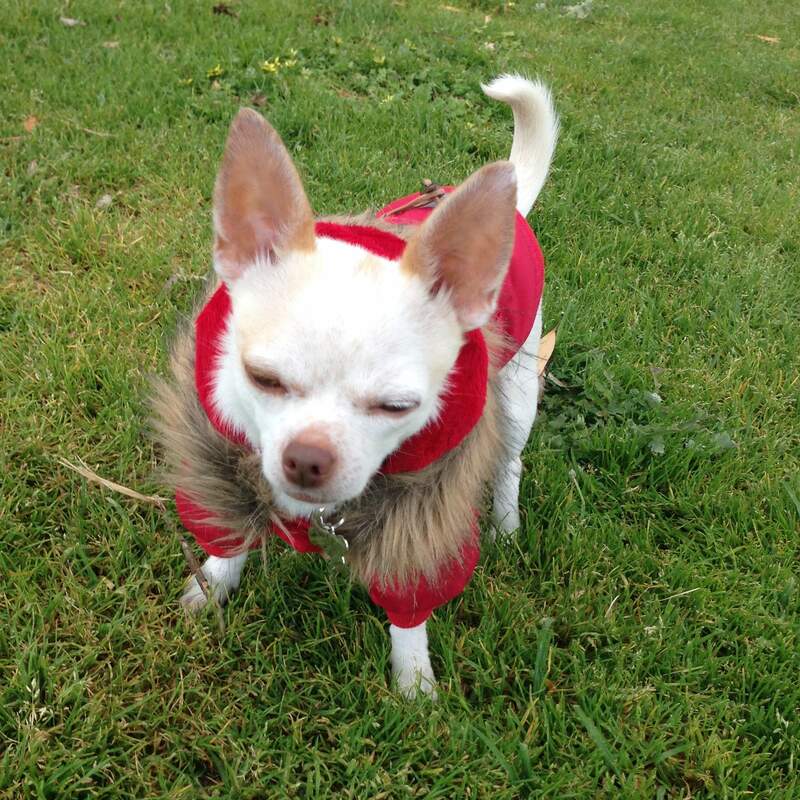 Pablo is a very lightweight tiny Chihuahua with a huge coat of hair, with his very own Chihuahua Rescue Victoria Success Story! Front gallery picture of Ninja. Front gallery picture of Nikki. Front gallery picture of Mayer, trying to read the paper when Nikki wants attention. 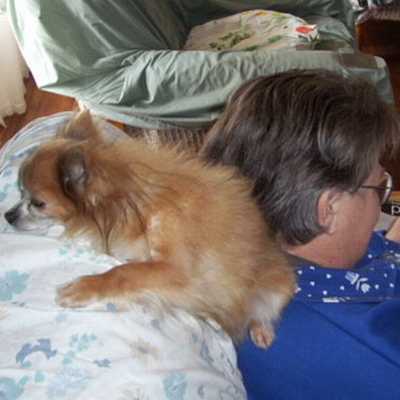 Mayer, trying to read the paper when Nikki wants attention! Nikki, June 2008. 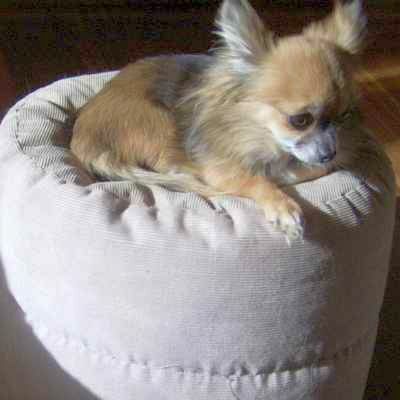 Front gallery picture of Nikki on a pouf. 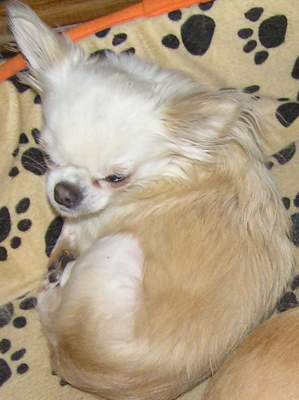 Molly who was renamed as Mitzy, September 2008. Front gallery picture of Minnie. Front gallery picture of Mindy. Front gallery picture of Lucy-Lou. Front gallery picture of Lucy. Front gallery picture of Lolly. 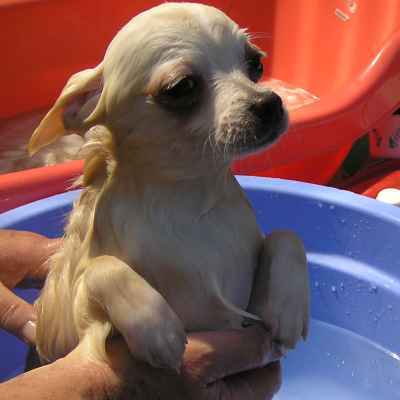 Lolly's first bath, October 2008. Front gallery picture of Lexi. Front gallery picture of Joel. Front gallery picture of Iggy. 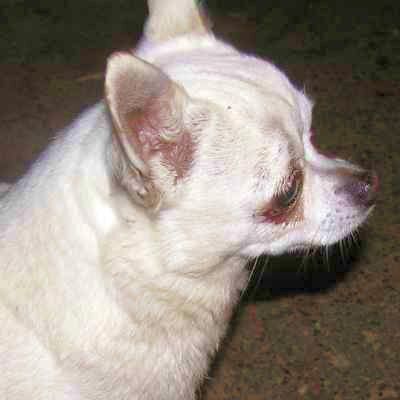 Hindee in 2009, one of those "pure" Chihuahuas whose brilliant red eyes make it very hard to get a good shot of them! Front gallery picture of Hillby. 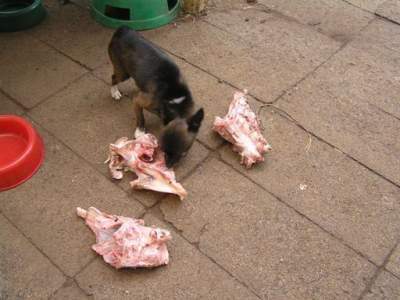 Hillby - one chicken carcass is not enough for a boy! Hillby got himself in The Age newspaper! Hillby got himself in The Age newspaper! Front gallery picture of Heidi. 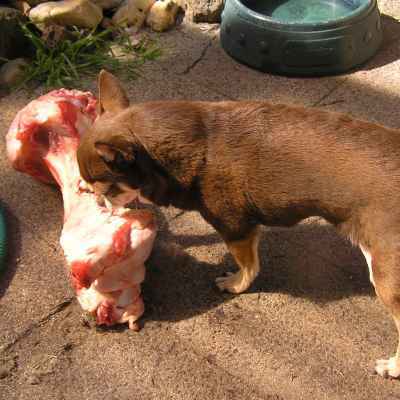 Heidi with a bone, November 2007. Gypsy, Diamond, Hillby and Disco in bed. October, 2008. Goldie in her <b>own</b> bedroom! Goldie in her own bedroom! Front gallery picture of Goldie. 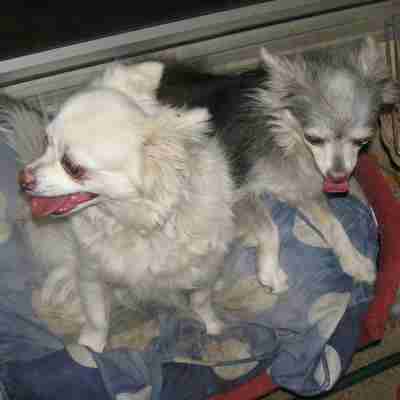 Front gallery picture of two peas in a pod, Gizmo and Minty. 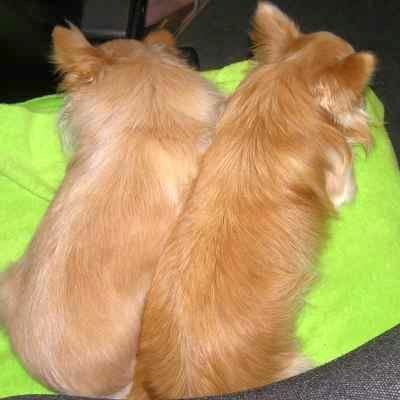 Two peas in a pod, Gizmo and Minty. December, 2008. Best mates, Gizmo and Minty. 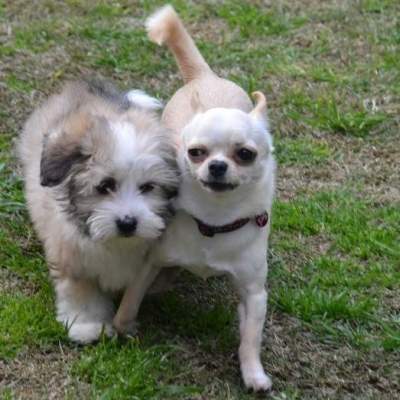 Best mates, Gizmo and Minty. December, 2008. Front gallery picture of Girlie. Girlie relaxing on Michael's lap. April 2009. Front gallery picture of Fifi. Front gallery picture of Fluff Ball. Front gallery picture of Flower. 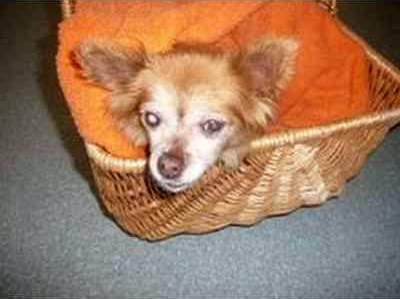 Peaches, 18 years old in this photo from June 2009. 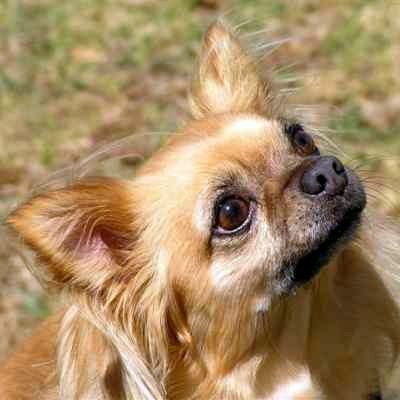 Peaches was born in 1991 and lived to see the ripe old age of 19, a very good age for a Chihuahua. She was much loved and is missed by us all. 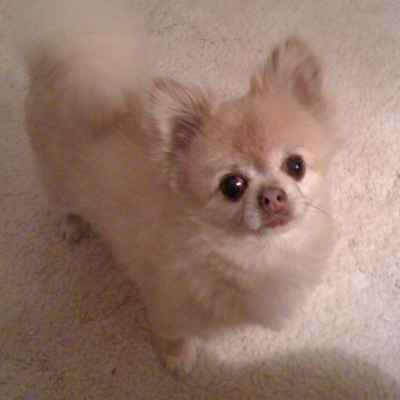 Peaches, 18 years old in this photo from June 2009. 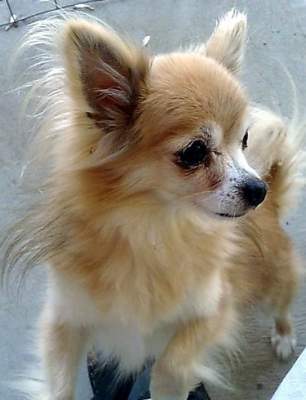 Peaches was born in 1991 and lived to see the ripe old age of 19, a very good age for a Chihuahua. She was much loved and is missed by us all. She is featured in a Newsletter from Wednesday, 23rd of June 2010 - Good-bye Peaches. We will always love you. Front gallery picture of Cola. Front gallery picture of Bull and Mitzy, July 2009. Bull and Mitzy, July 2009. Front gallery picture of Bambi - now renamed Lupae, August 2008. 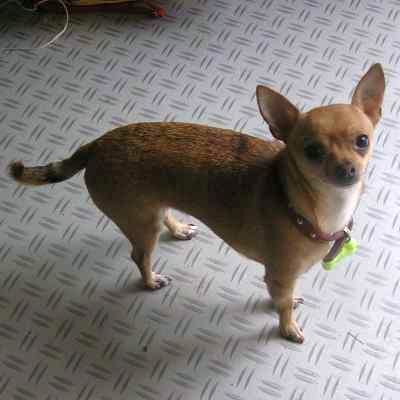 Bambi - now renamed Lupae, August 2008. Front gallery picture of Maisy and Mayer, November 2008. 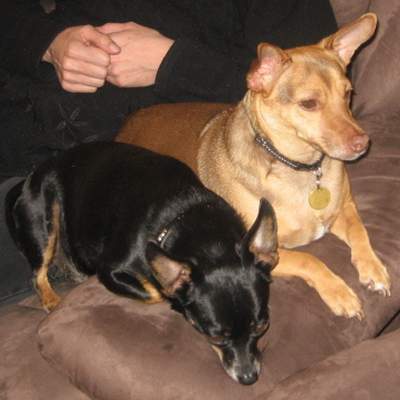 Maisy and Mayer, November 2008. Front gallery picture of Mikky, October 2007. Front gallery picture of Lucy-Lou, May 2009. Front gallery picture of Mouse. Front gallery picture of Guipi and Rita, 2002. Front gallery picture of Collie - now renamed Jenny, March 2007. Collie - now renamed Jenny, March 2007. Front gallery picture of Beau. Beau's 16th birthday - 12th of January 2009. Front gallery picture of a shy baby from September 2007. A shy baby from September 2007. Front gallery picture of Bandit, February 2009. Front gallery picture of the Chihuahua House 1995 - a long time ago! Chihuahua House 1995 - a long time ago! 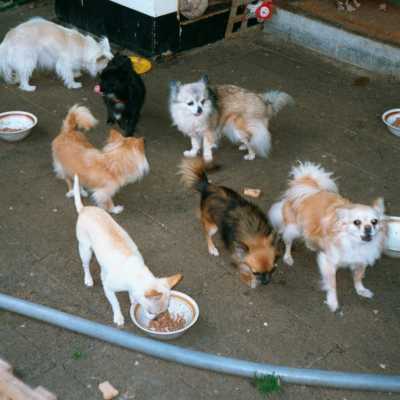 Front gallery picture of dogs at dinner time about 2002. Front gallery picture of Guido. 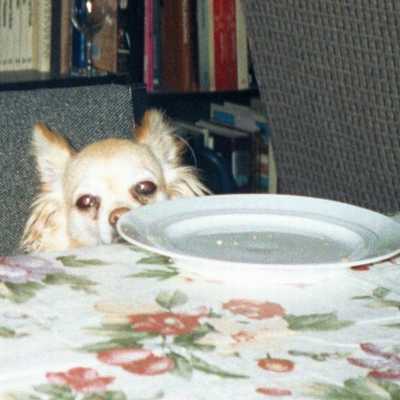 Front gallery picture of Gypsy having a treat in 2001. 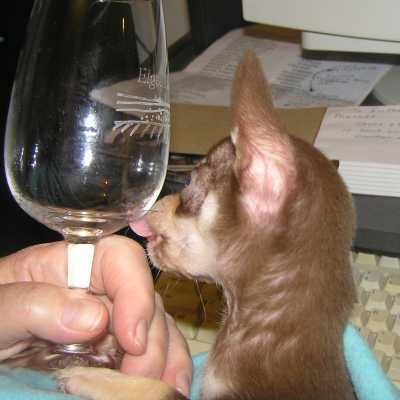 Gypsy having a treat in 2001. 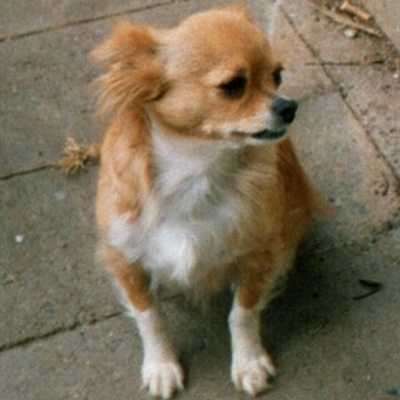 Front gallery picture of Lucky in 1995. Front gallery picture of Mummy with very fat puppy about 1998. Mummy with very fat puppy about 1998. 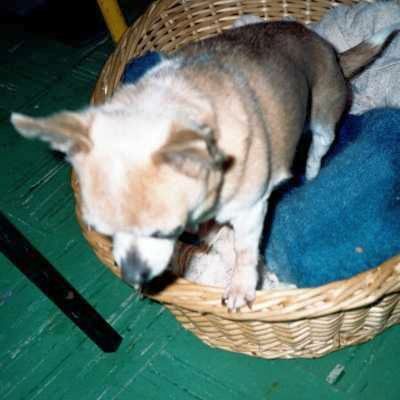 Peaches with puppy 1995. She is featured in a Newsletter from Wednesday, 23rd of June 2010 - Good-bye Peaches. We will always love you. 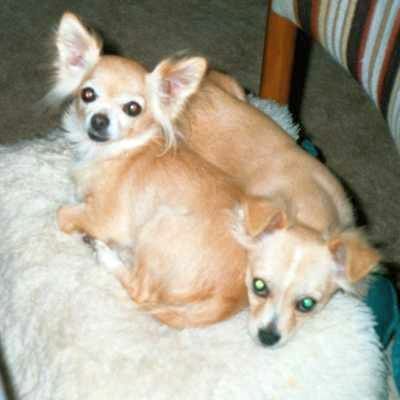 Peaches on left with puppy about six months old. She is featured in a Newsletter from Wednesday, 23rd of June 2010 - Good-bye Peaches. We will always love you. 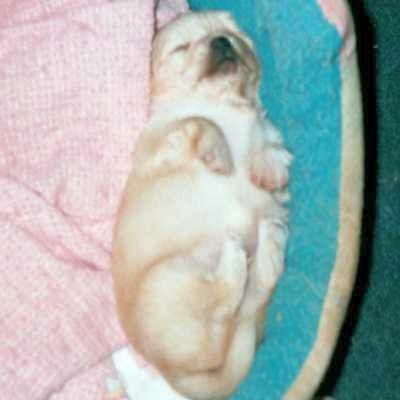 Peaches' beautiful snoozing puppy in 1995! 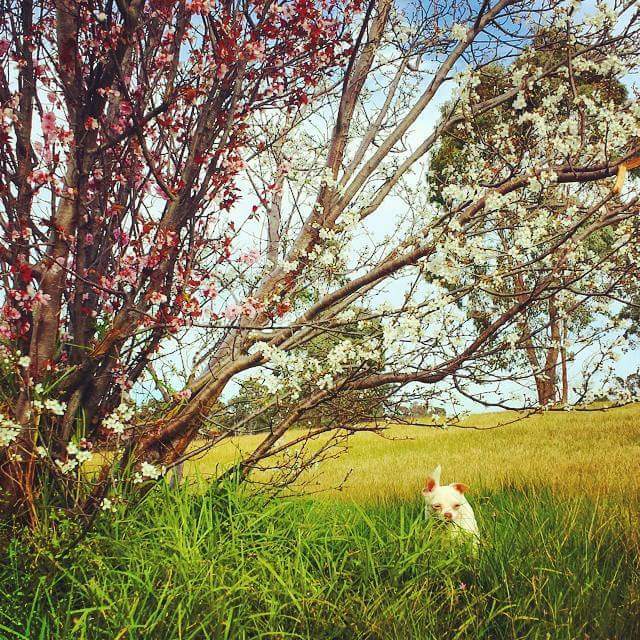 Peaches is featured in a Newsletter from Wednesday, 23rd of June 2010 - Good-bye Peaches. We will always love you. Front gallery picture of Shrek. 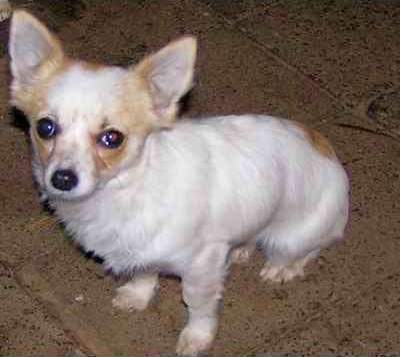 Shrek, a Chihuahua cross puppy about 2004. 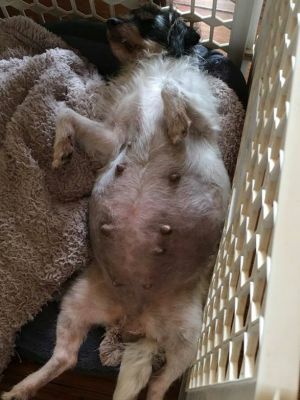 Front gallery picture of Smooch and her puppies. 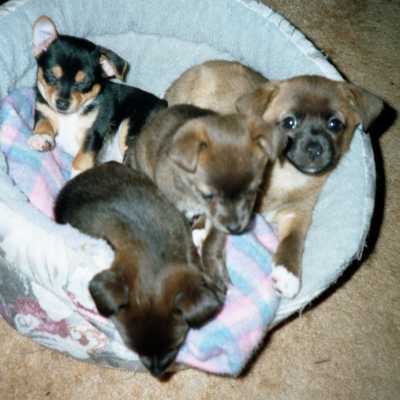 Front gallery picture of Smooch's puppies. Front gallery picture of Timmy. Front gallery picture of Timmy and Peaches, 2005. If we sleep in the pusher we won't miss the ride! Darn, she ate it all! This is our new toy box - how do we get the toys? 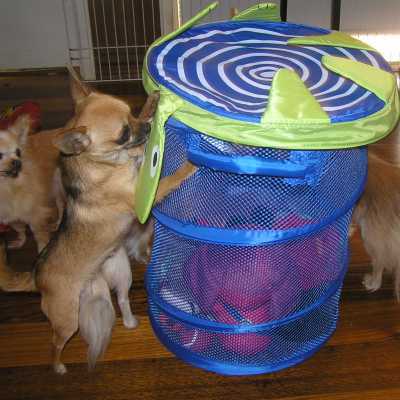 Still trying to work out how to get the toys, some give up in disgust! Maybe we get the toys out like this? How do we get the toys? Arrgh, just bite it! 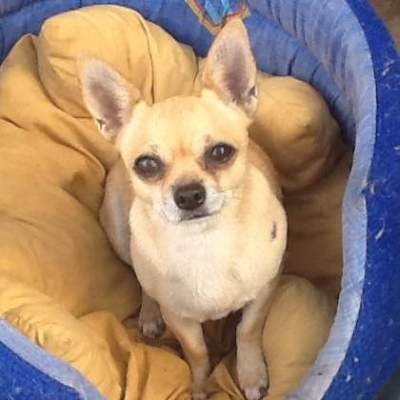 This is a good place to see the latest things happening with Chihuahua Rescue Victoria on our Facebook or Blog or elsewhere.